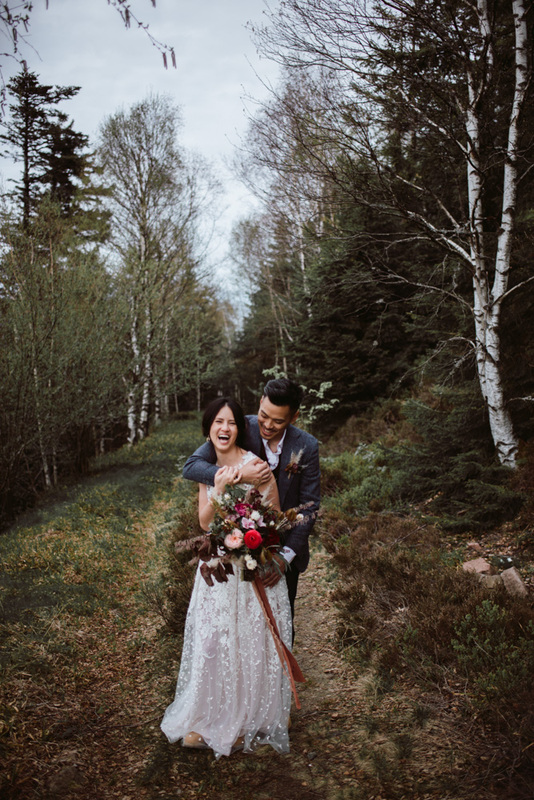 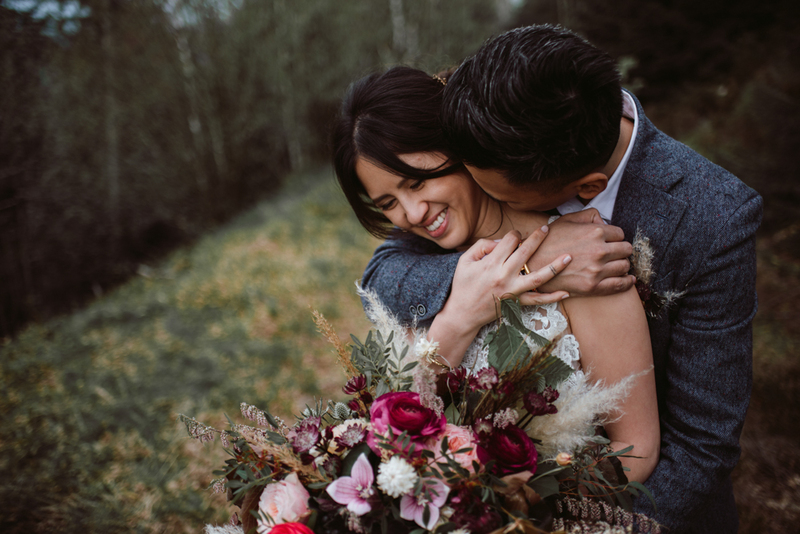 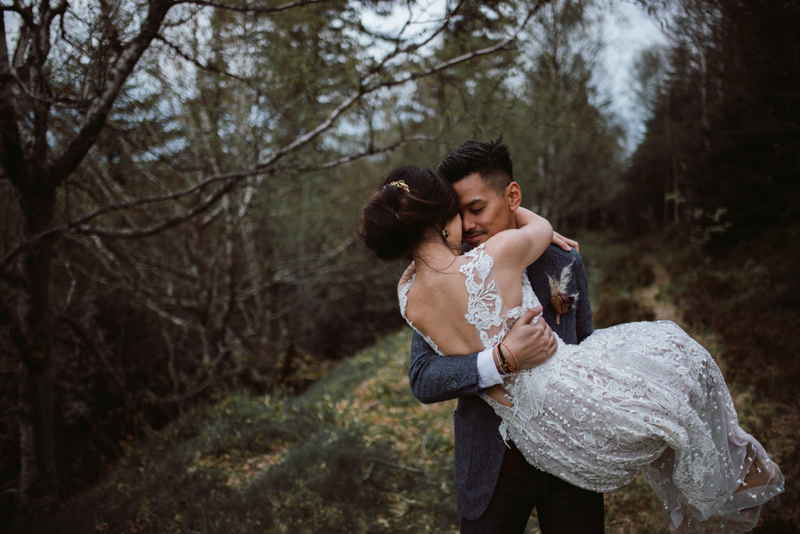 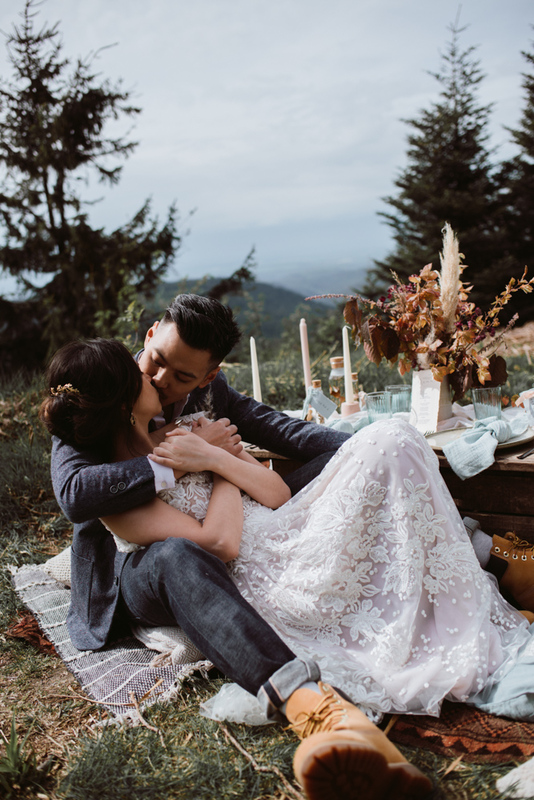 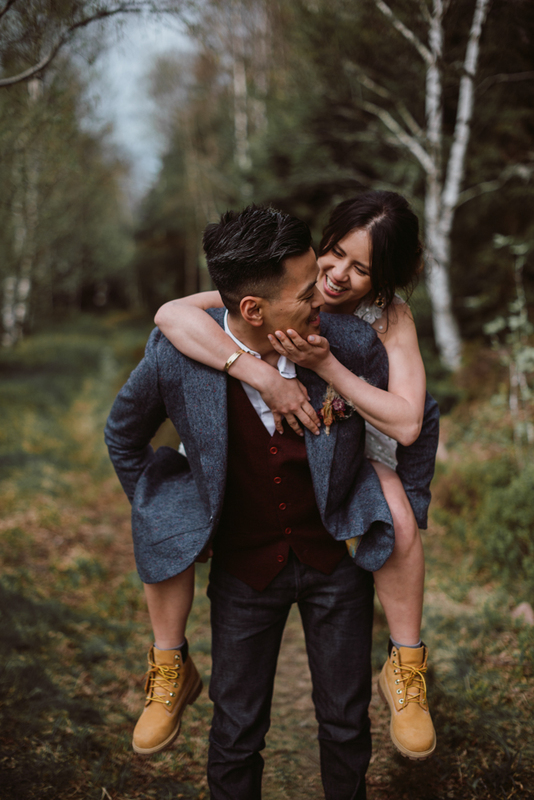 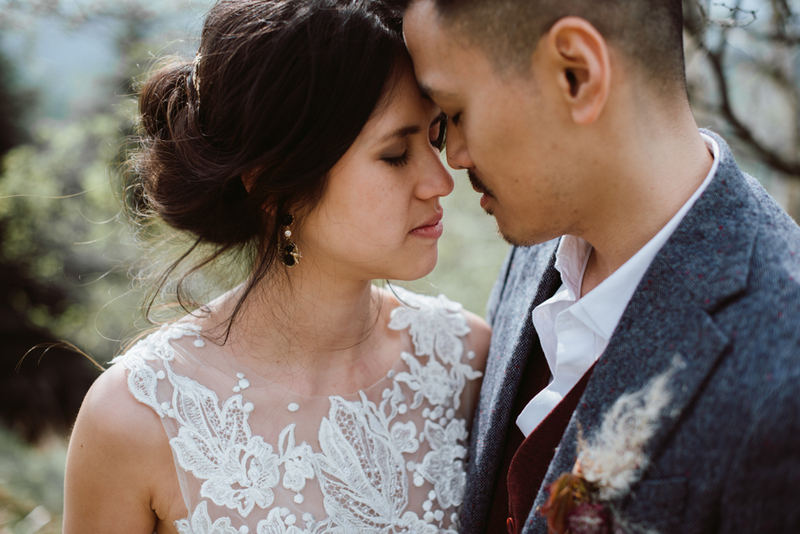 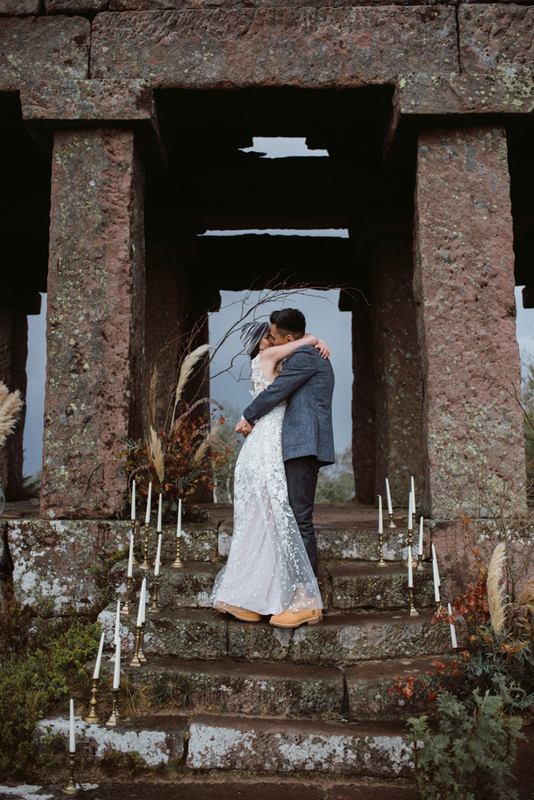 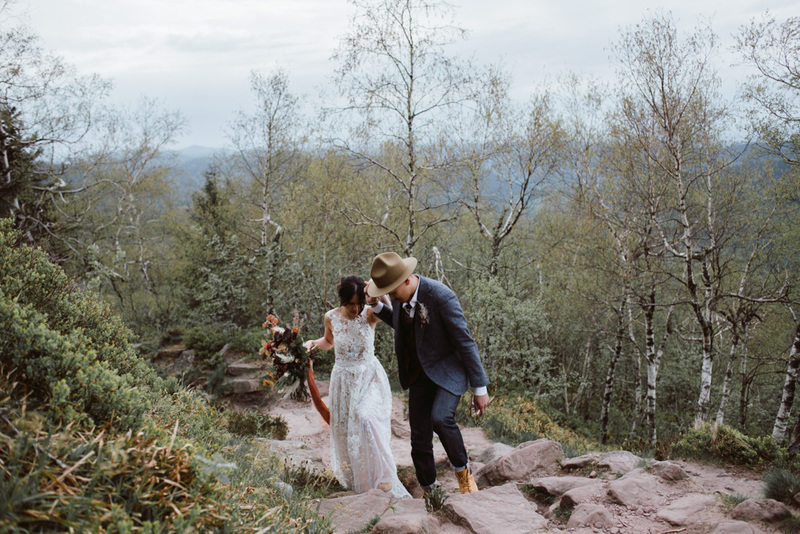 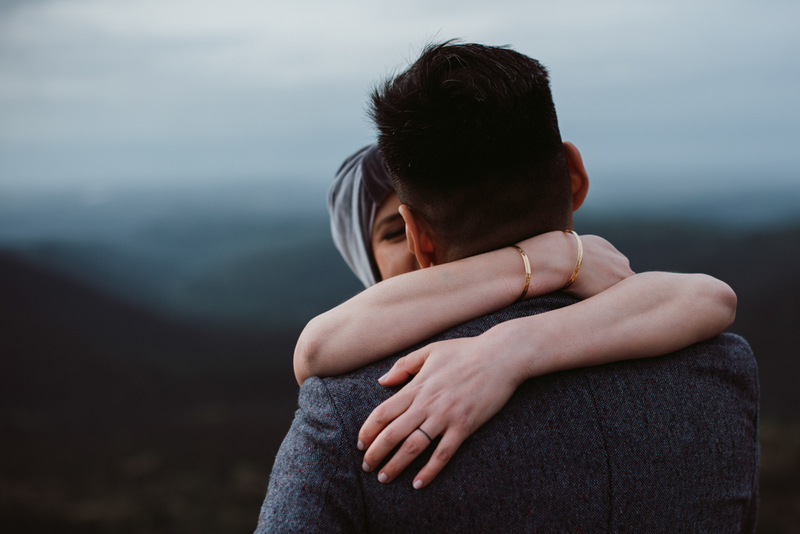 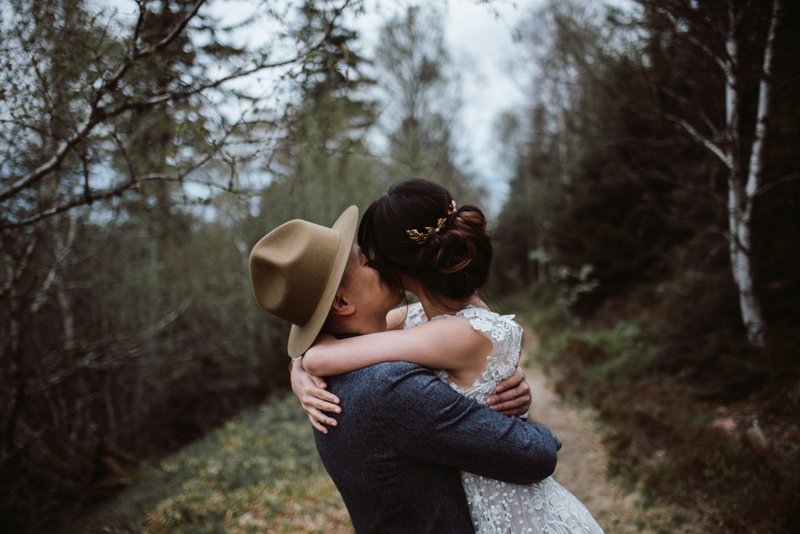 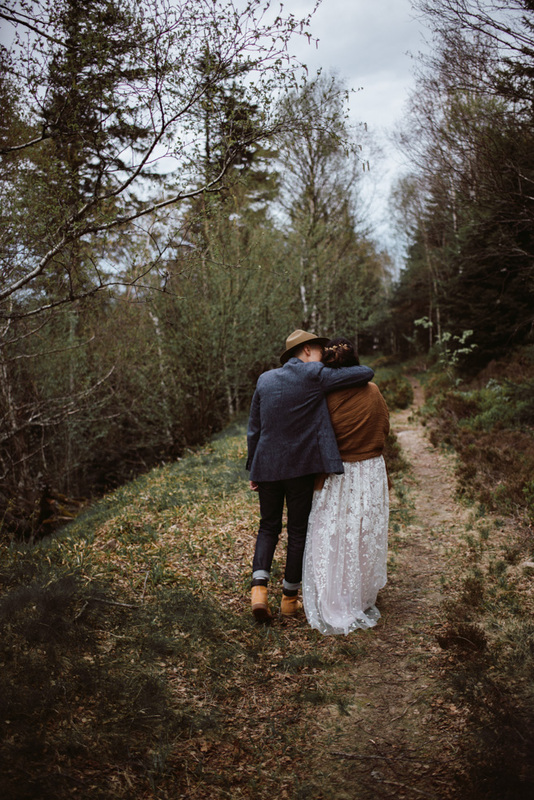 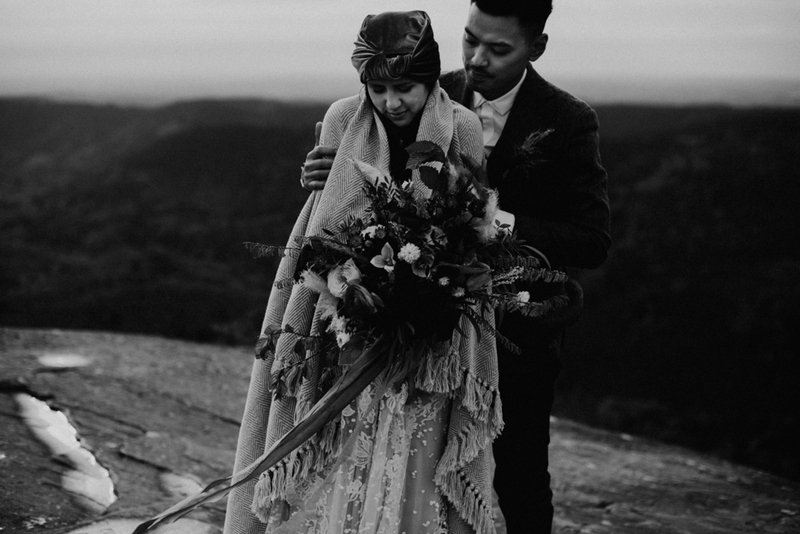 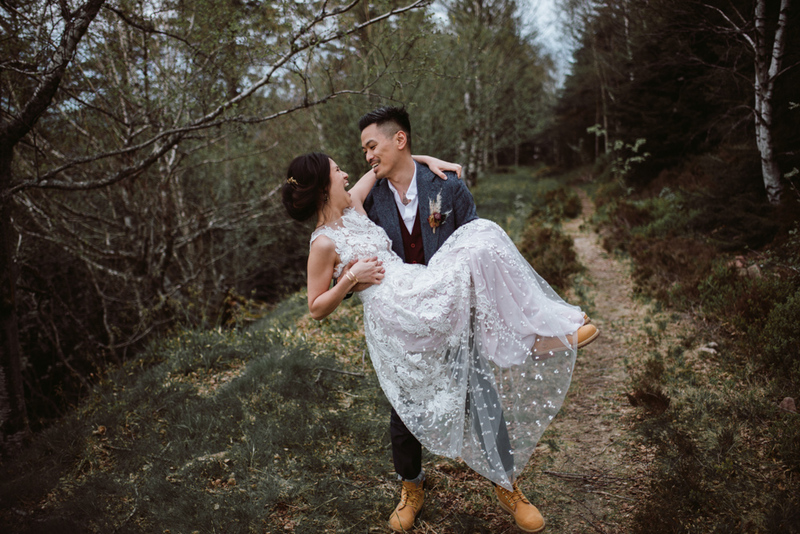 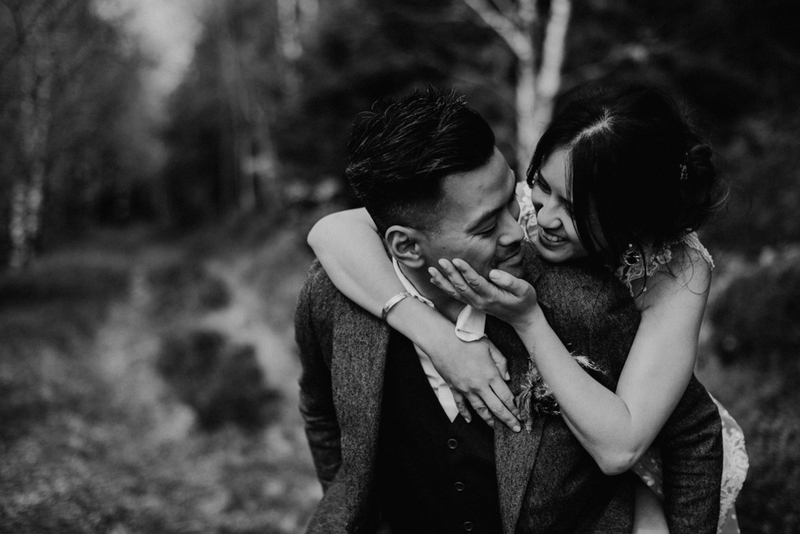 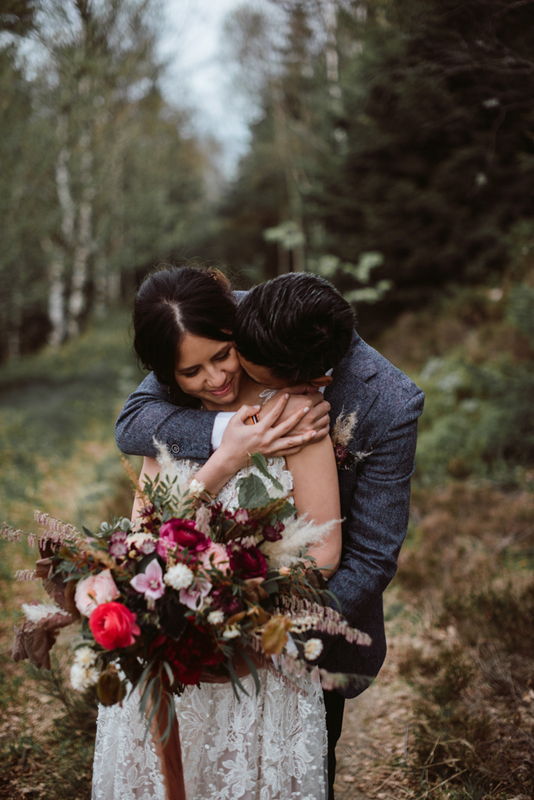 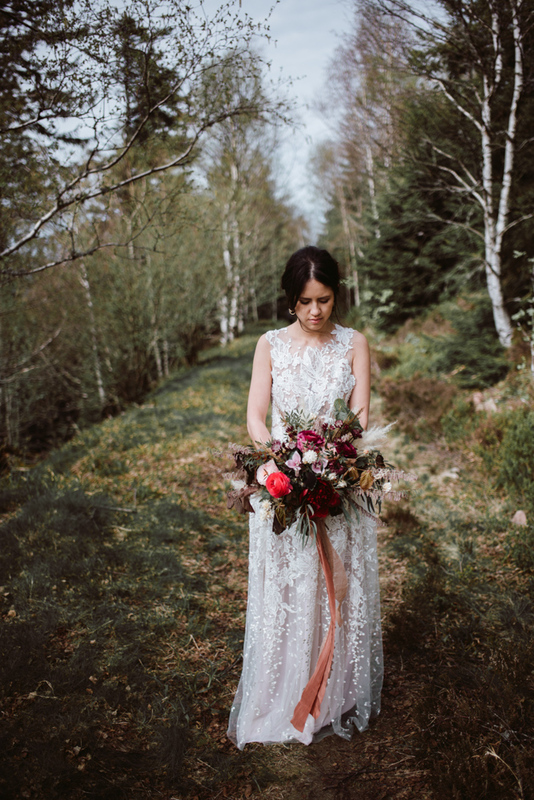 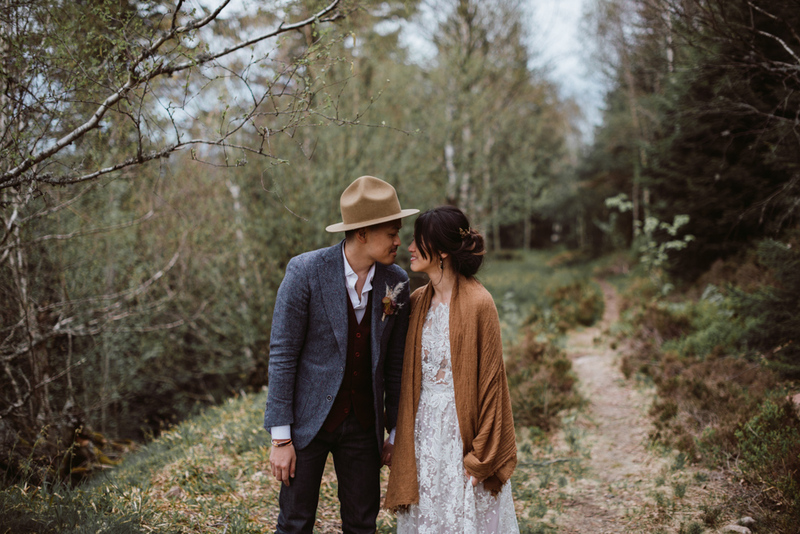 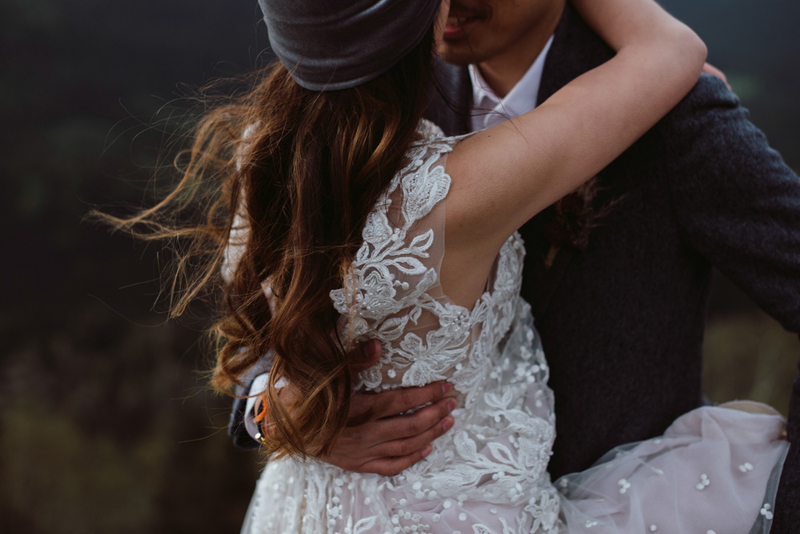 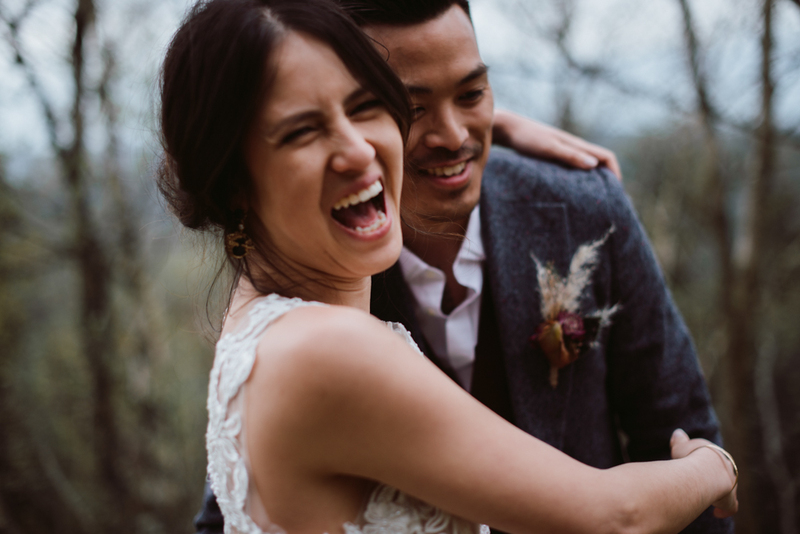 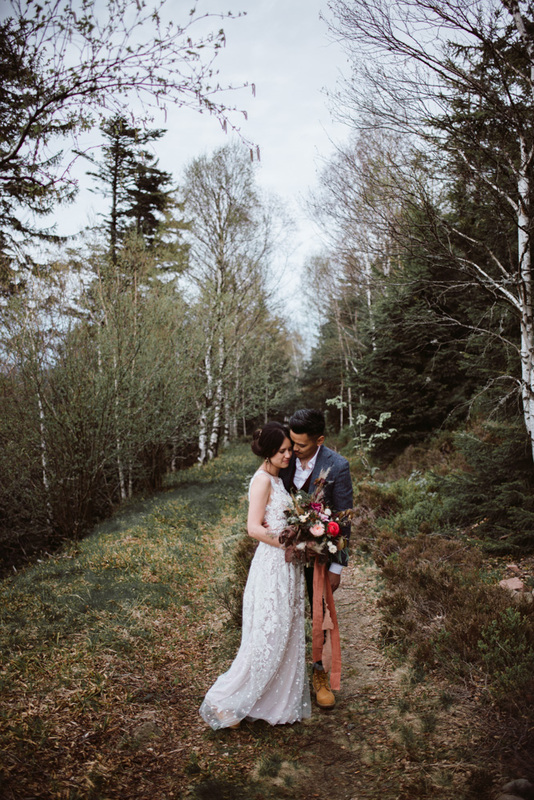 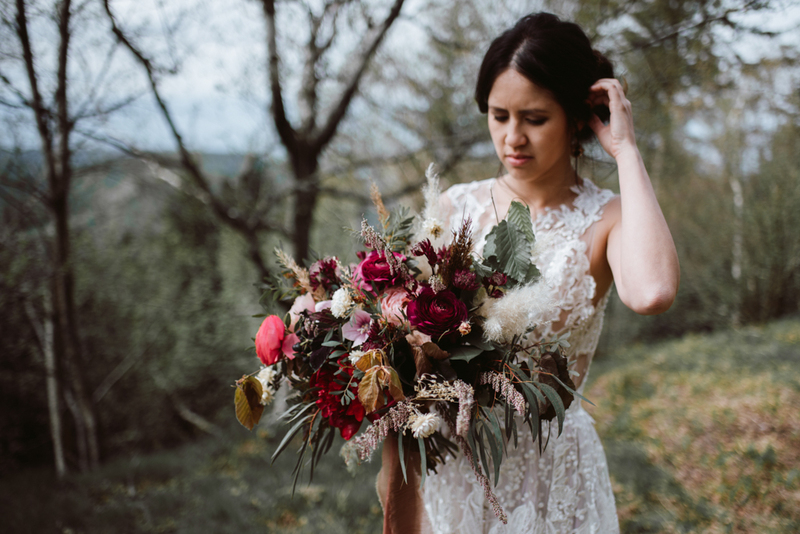 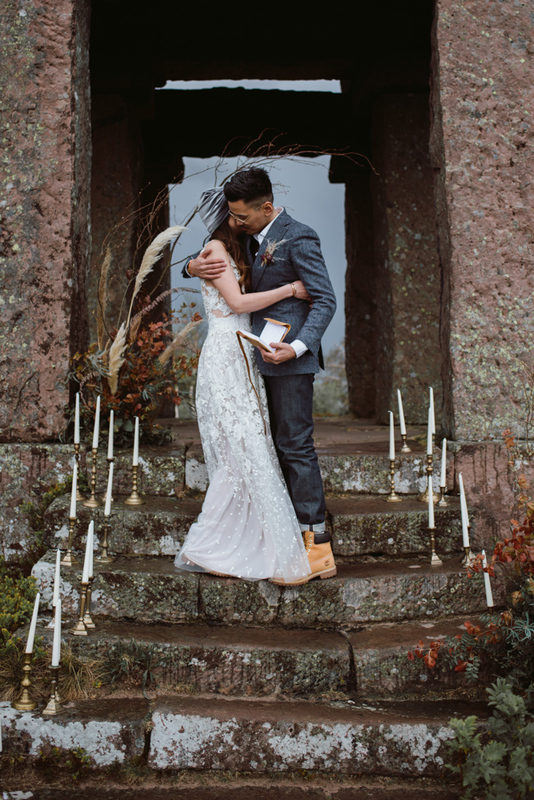 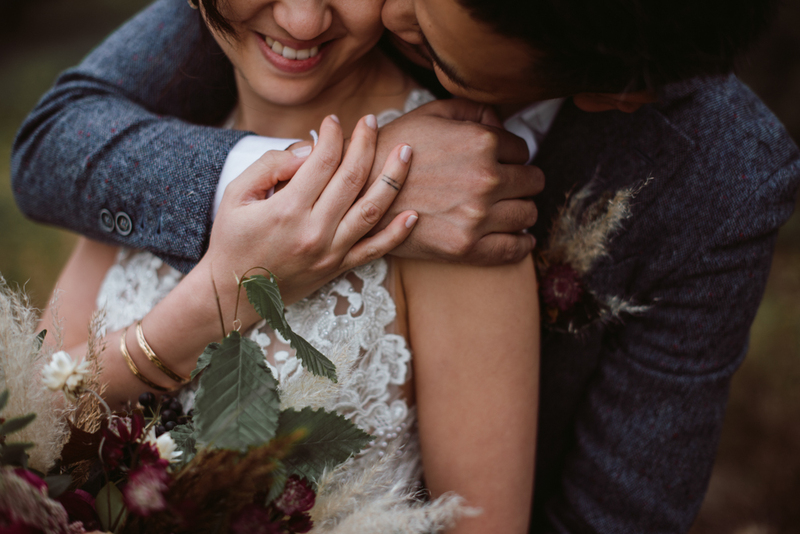 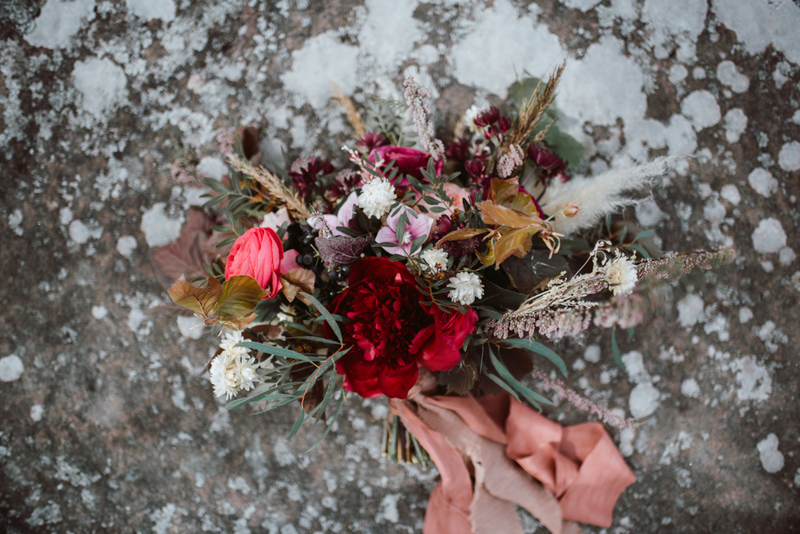 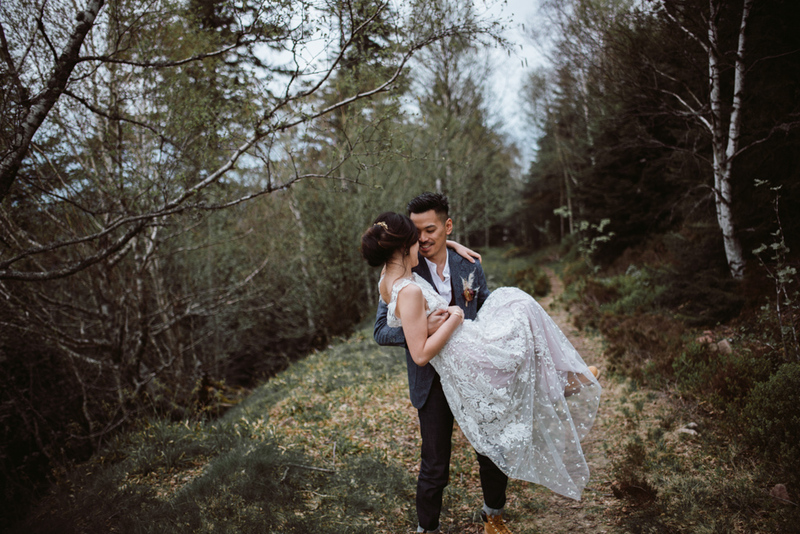 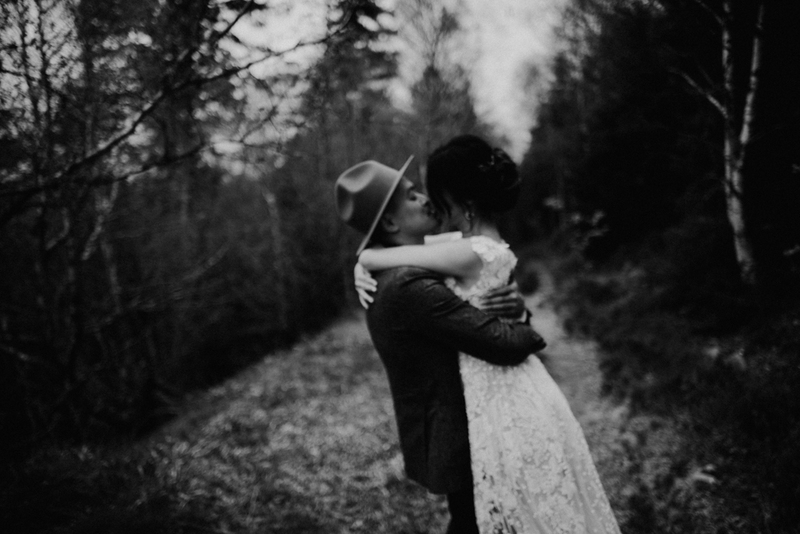 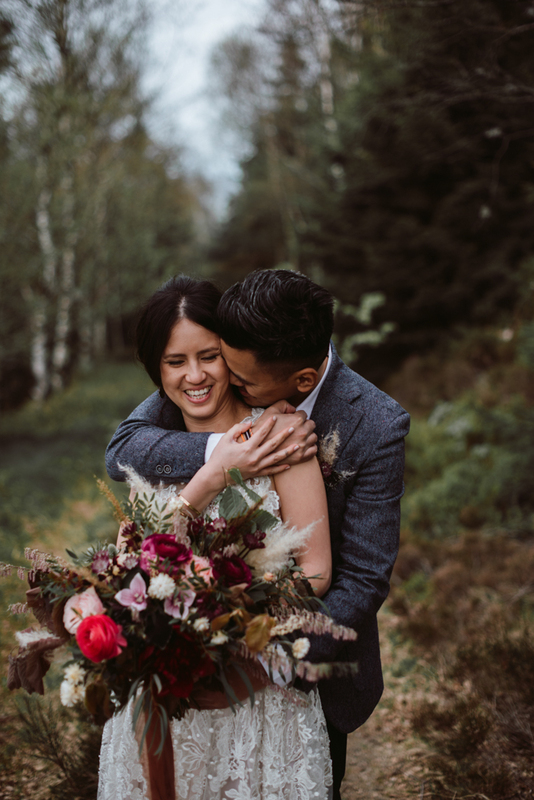 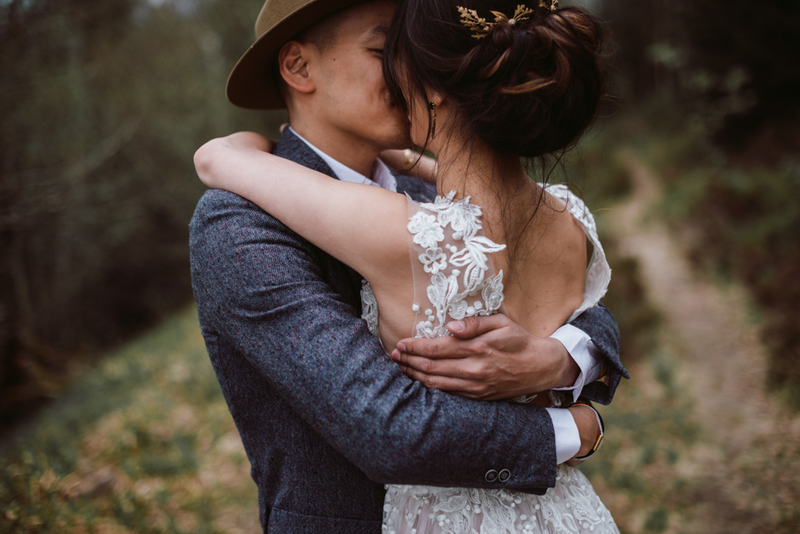 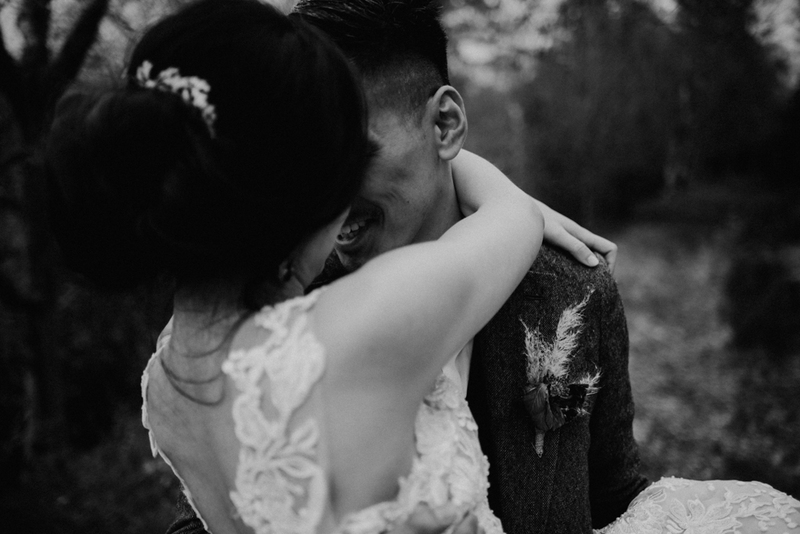 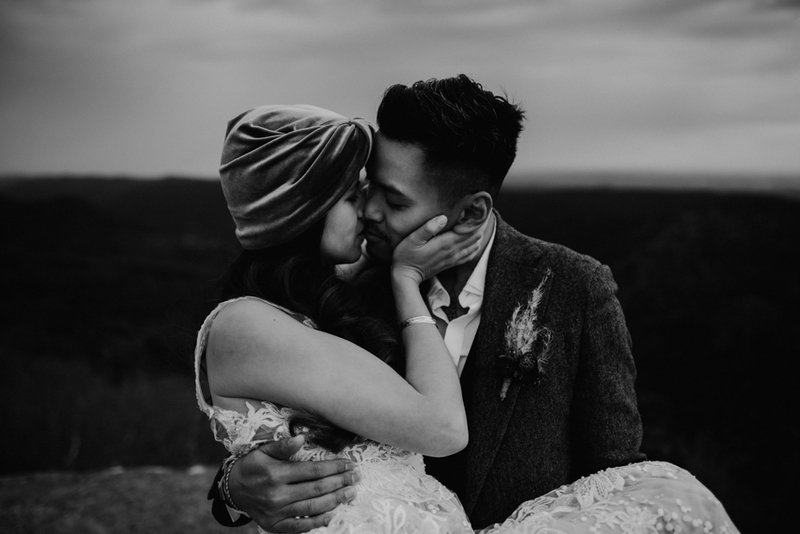 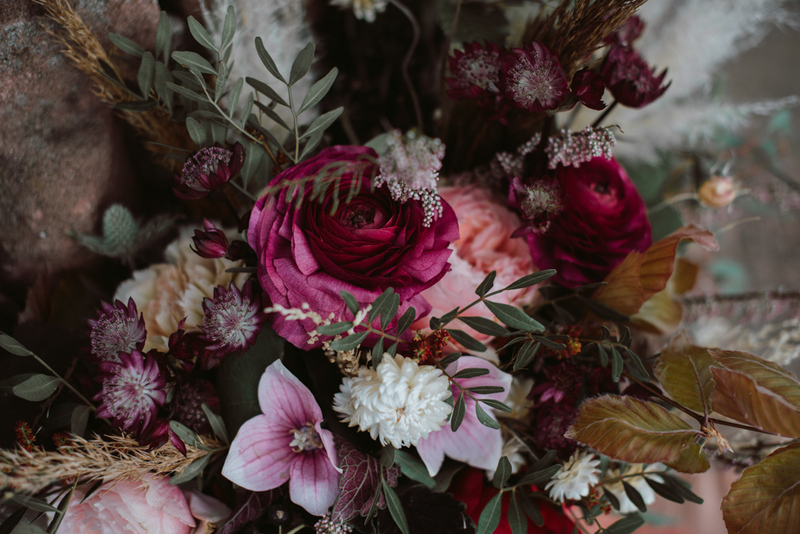 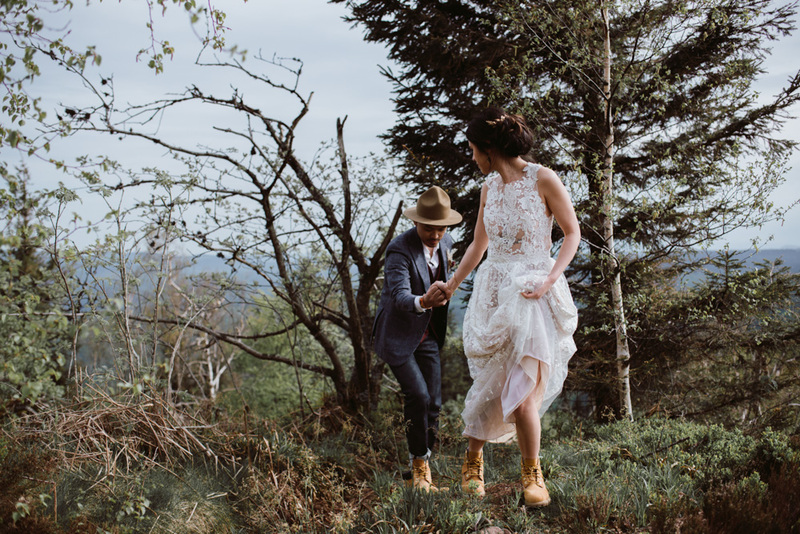 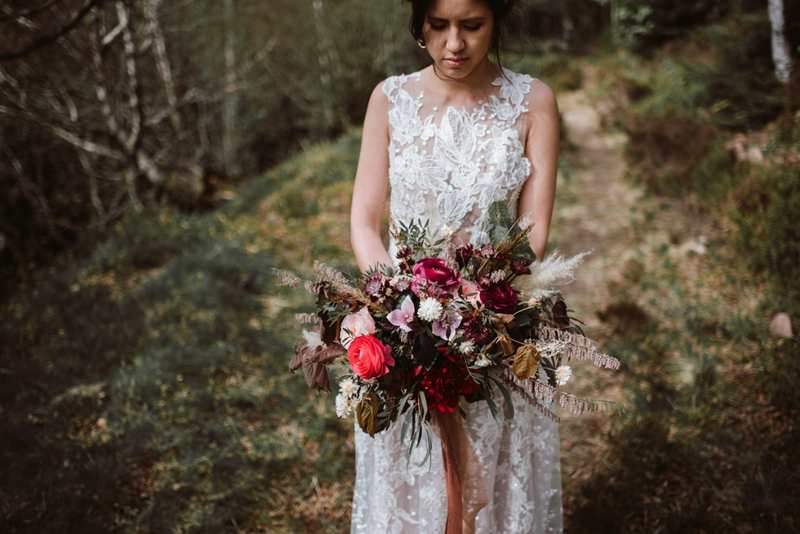 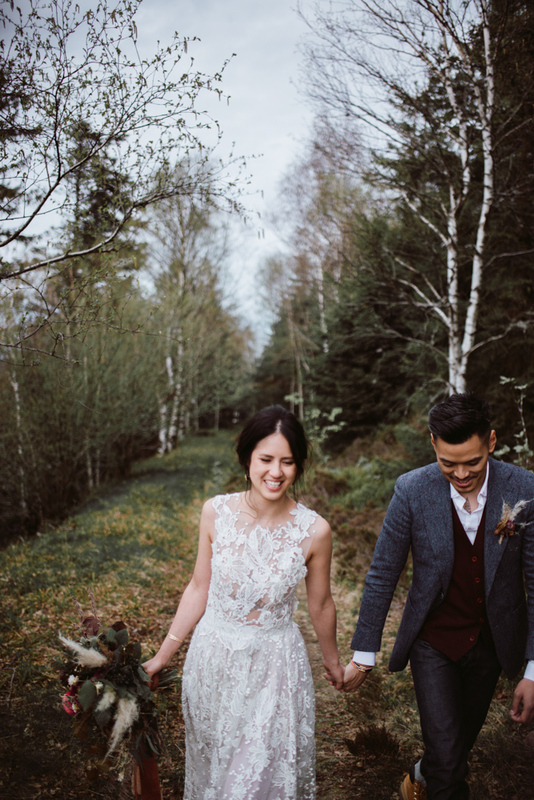 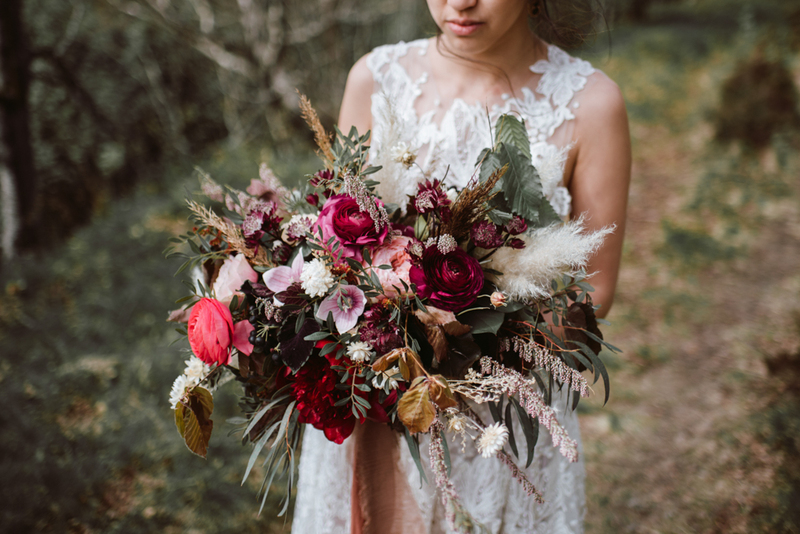 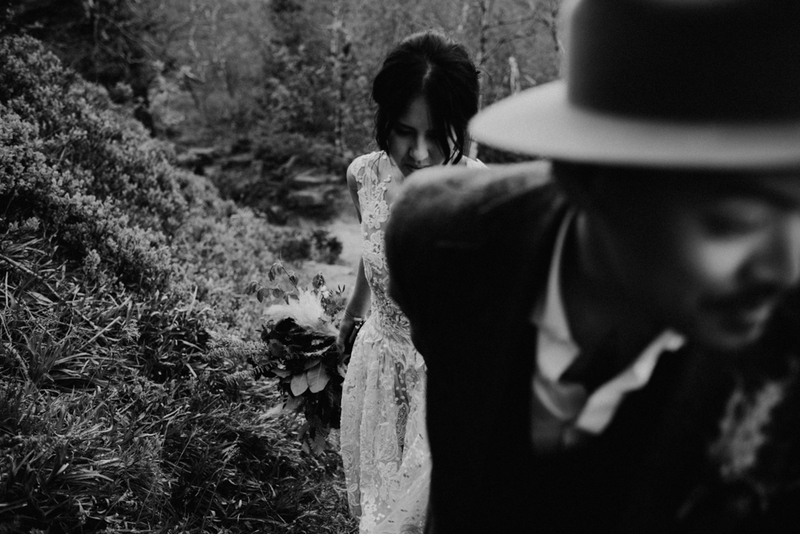 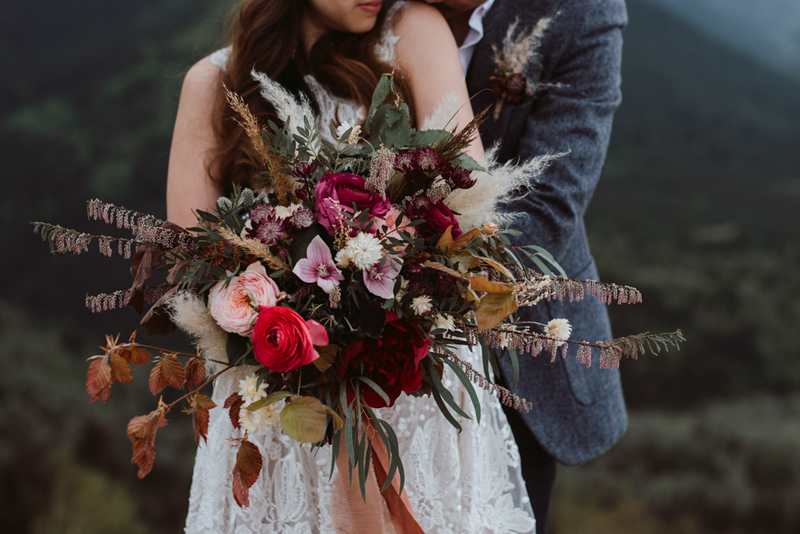 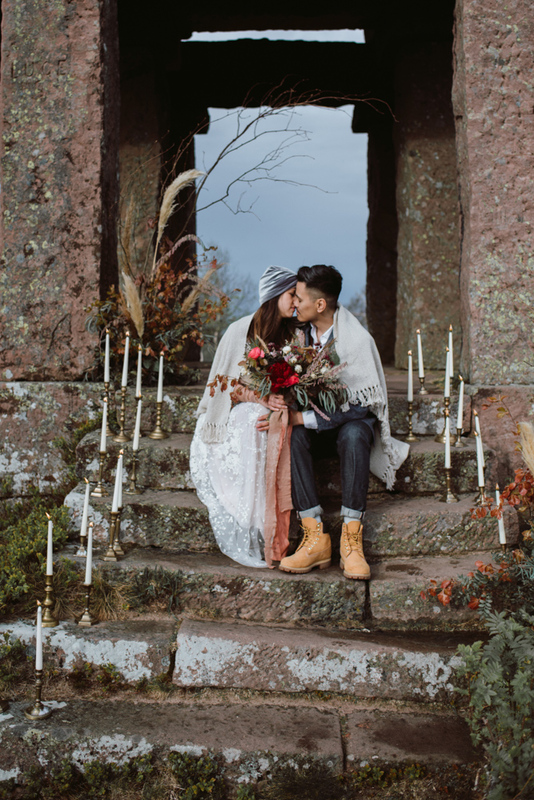 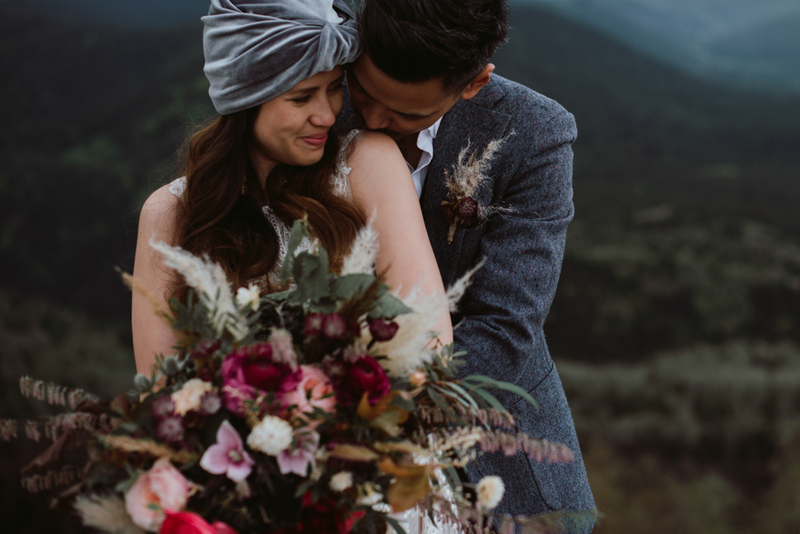 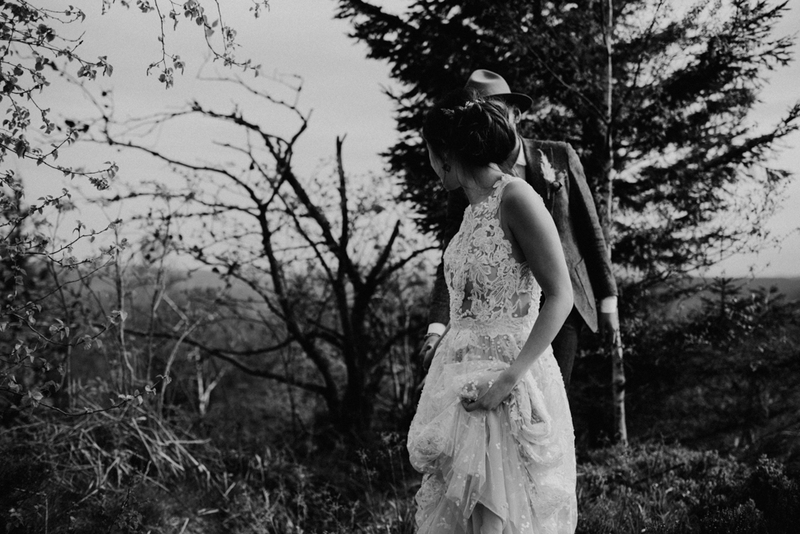 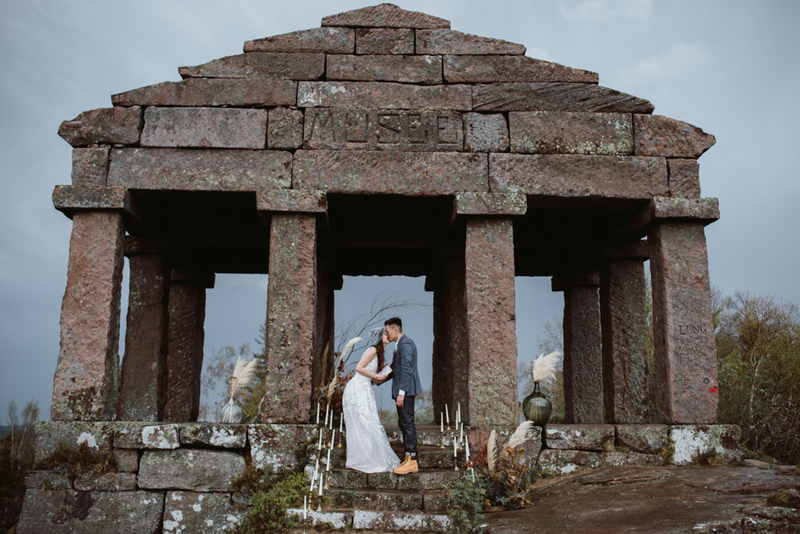 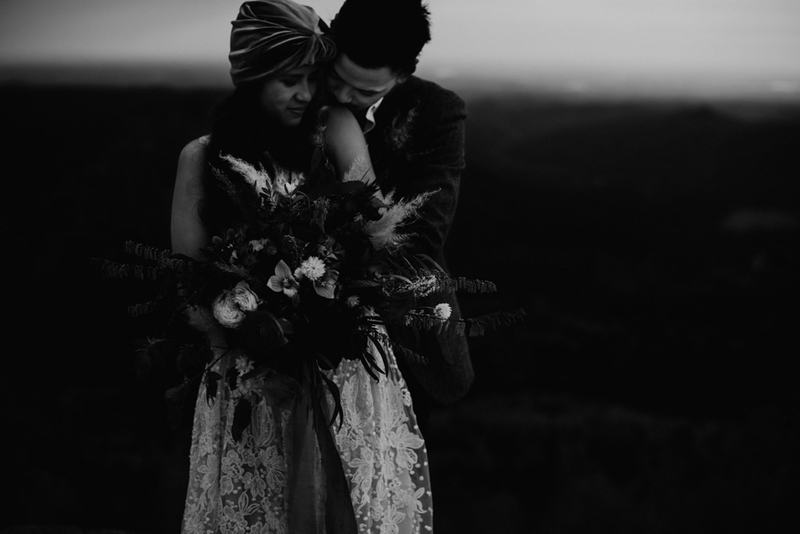 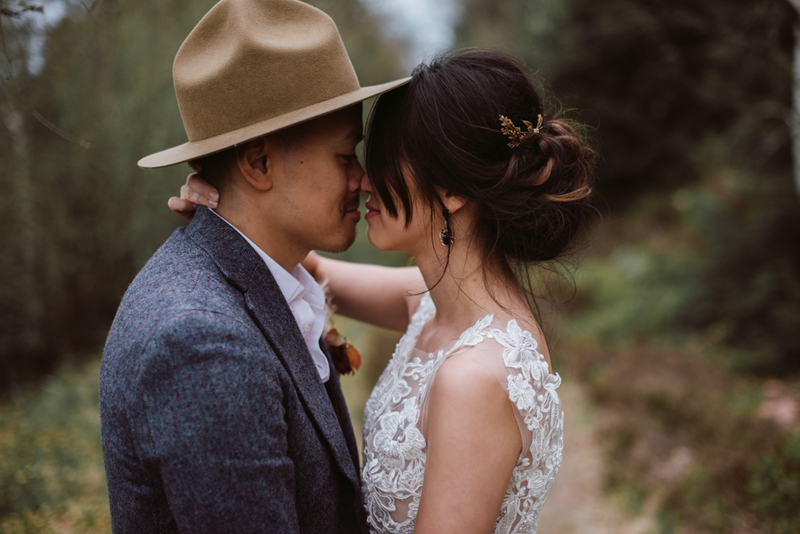 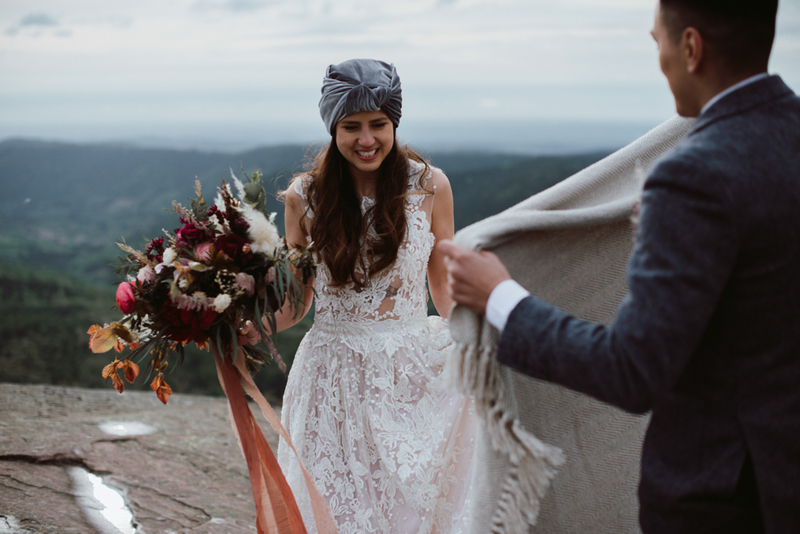 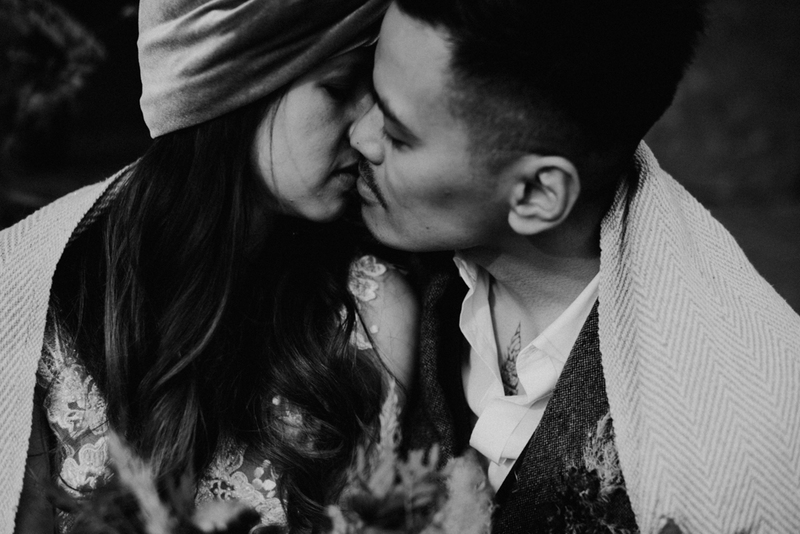 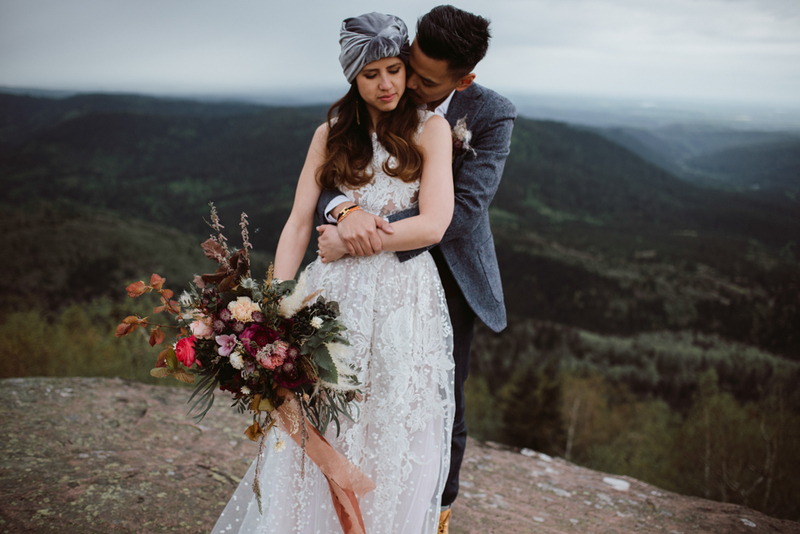 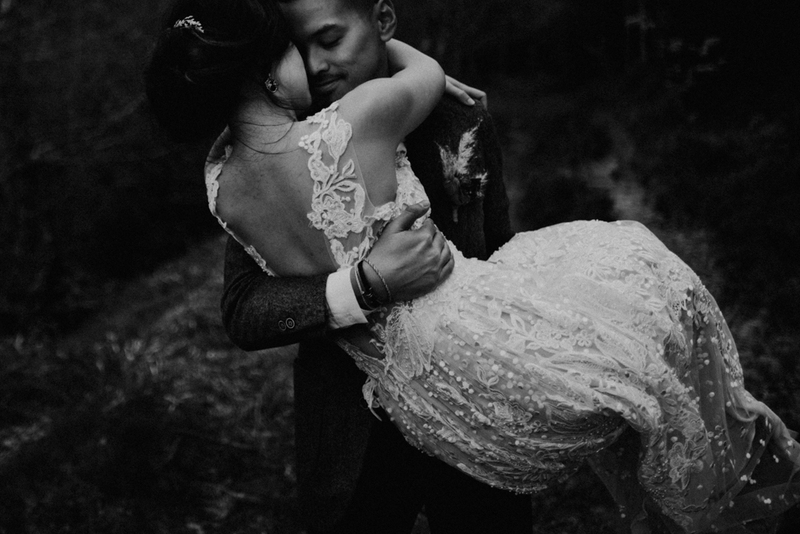 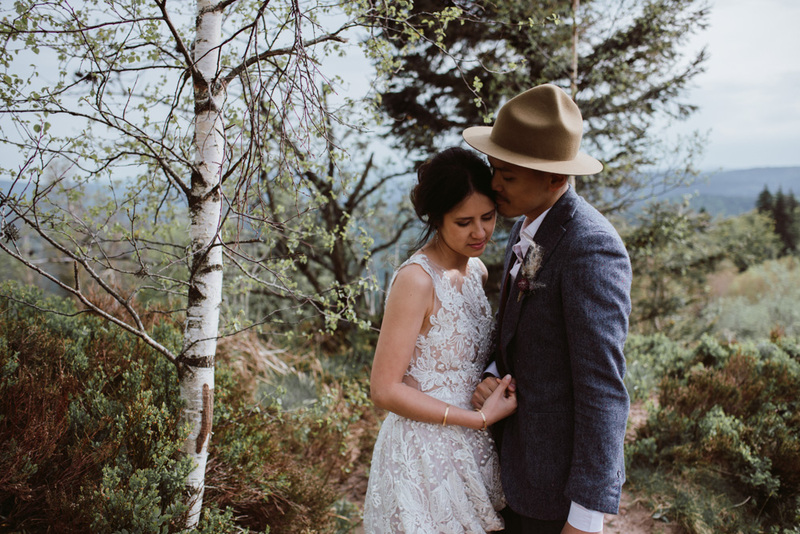 This wild elopement in France speaks about love, intimacy and deep emotions between two amazing souls. 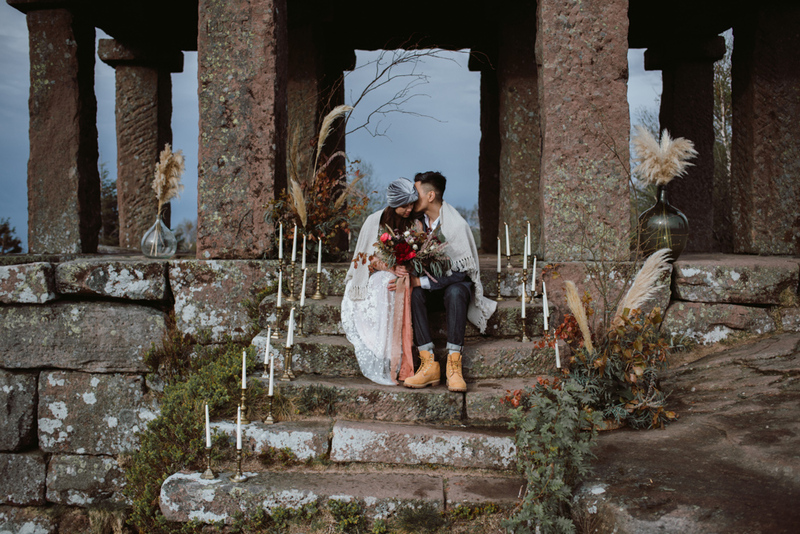 Hélène and Jey are an unconventional couple, the most amazing one I could ask for this photographic adventure in Alsace! 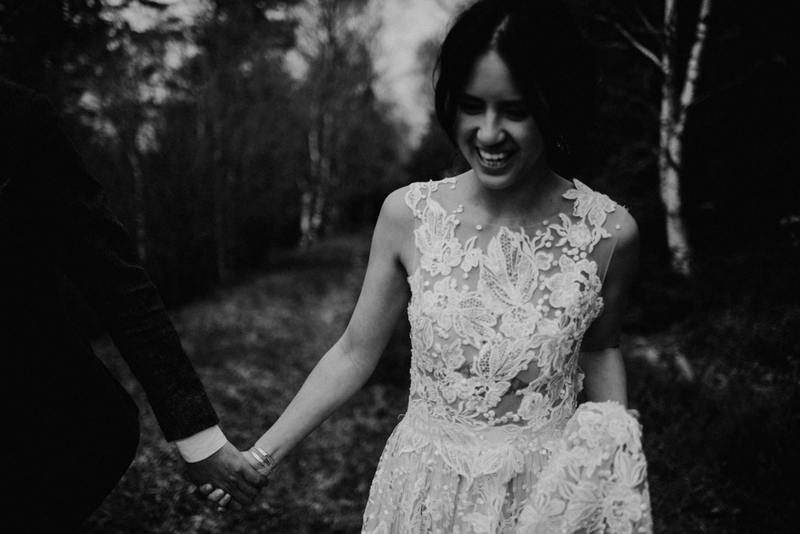 Their love is pure, honest and their excitement for this project is big and contagious. 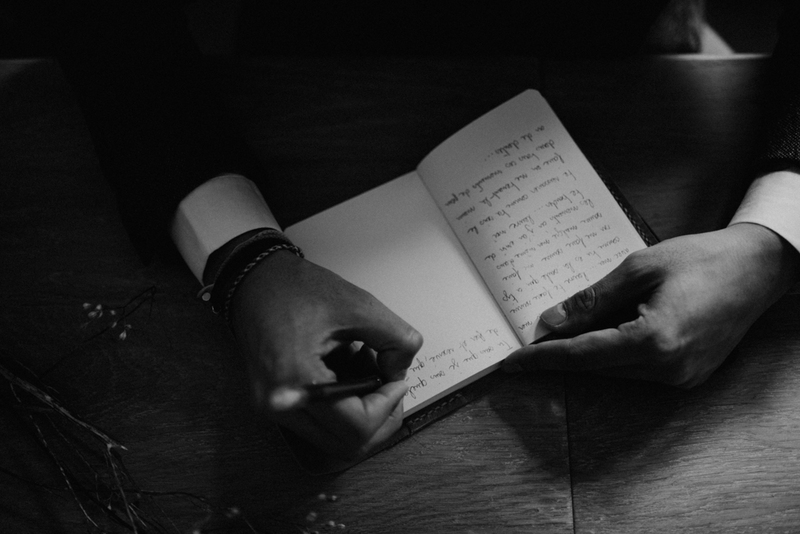 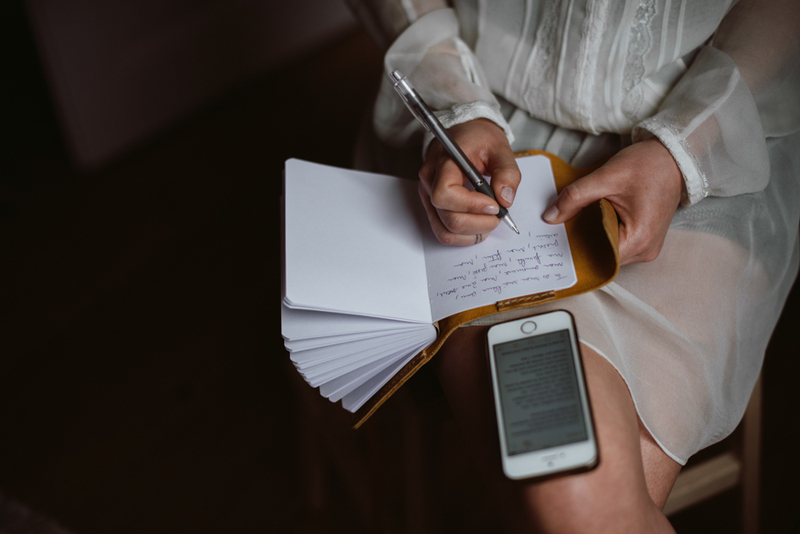 When Jey wrote me I immediately loved how he spoke about her Hélène, using the sweetest words. 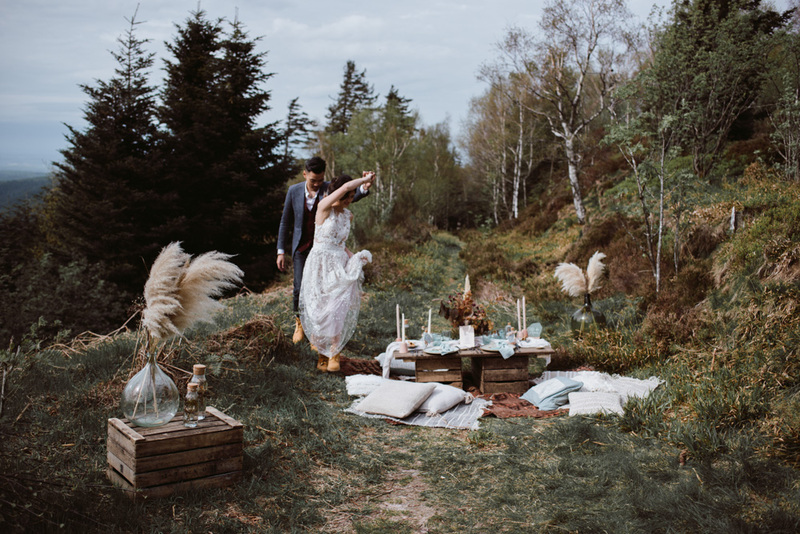 And so I immediately understood this will be a great and wild adventure! 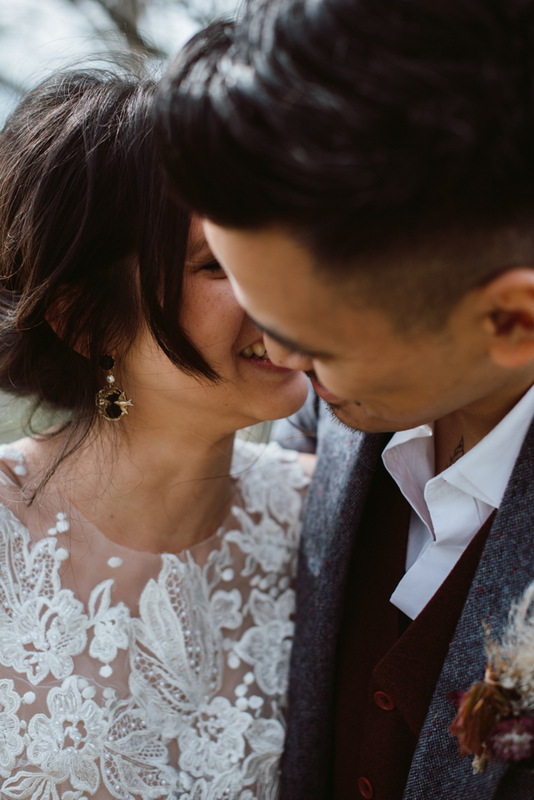 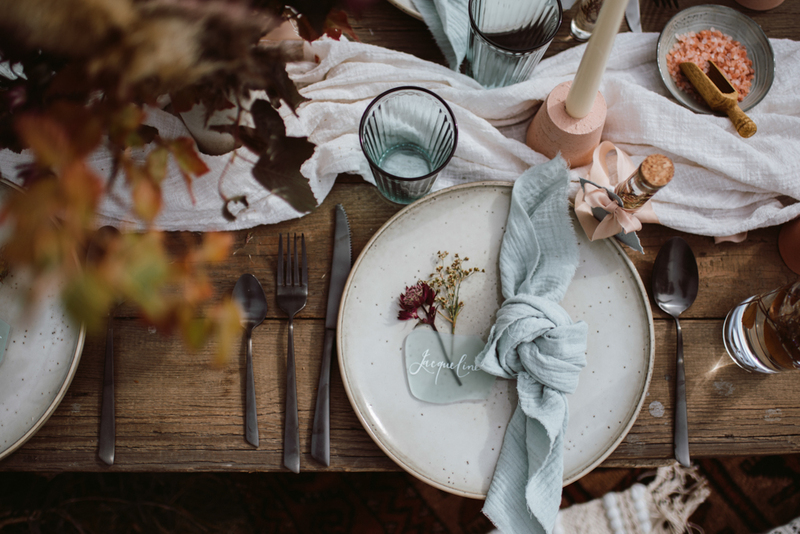 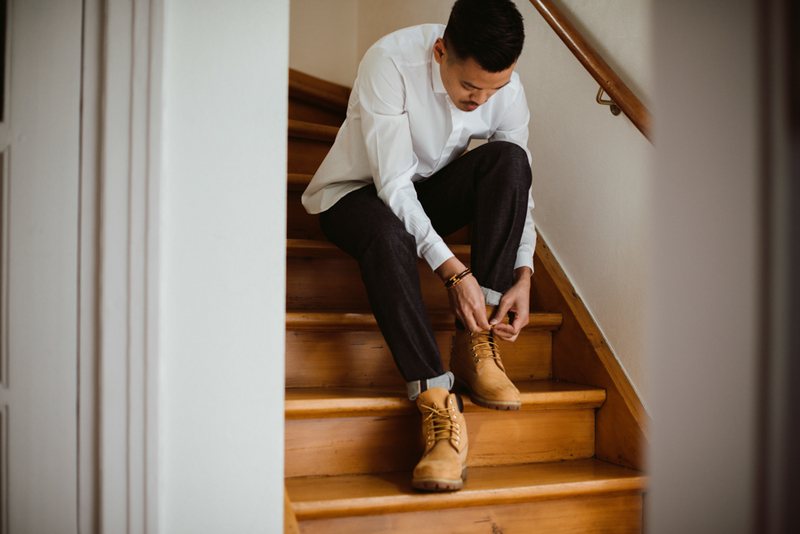 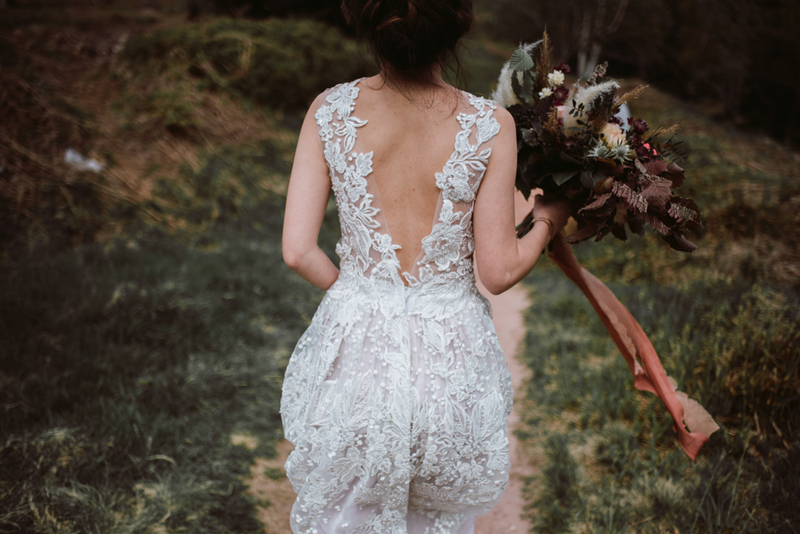 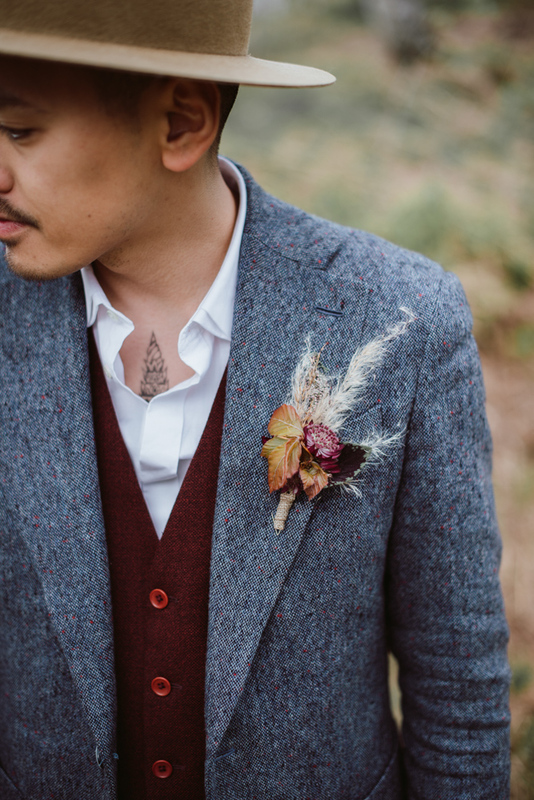 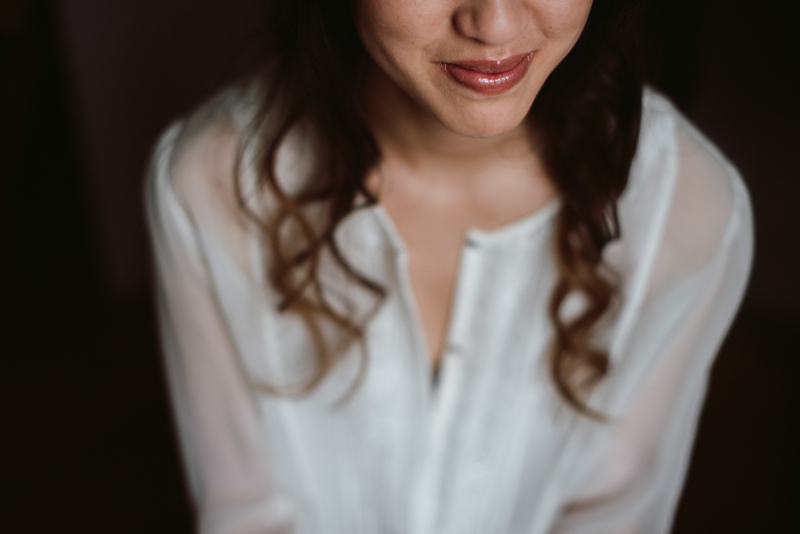 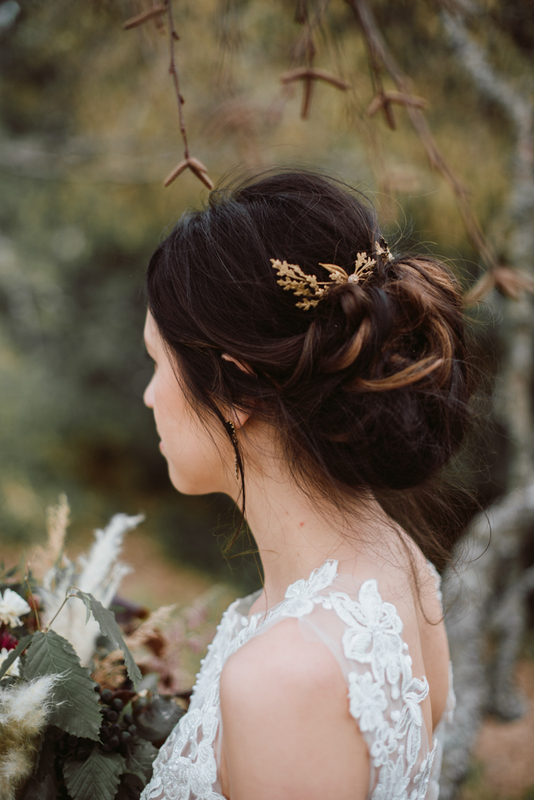 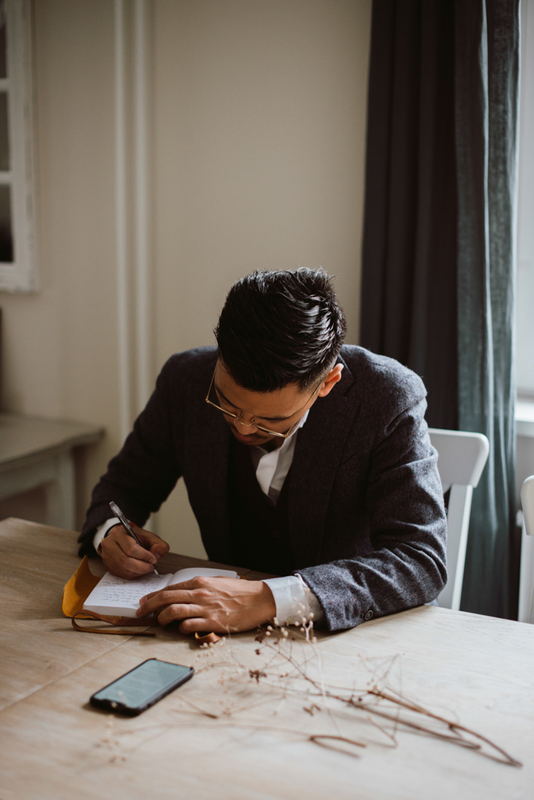 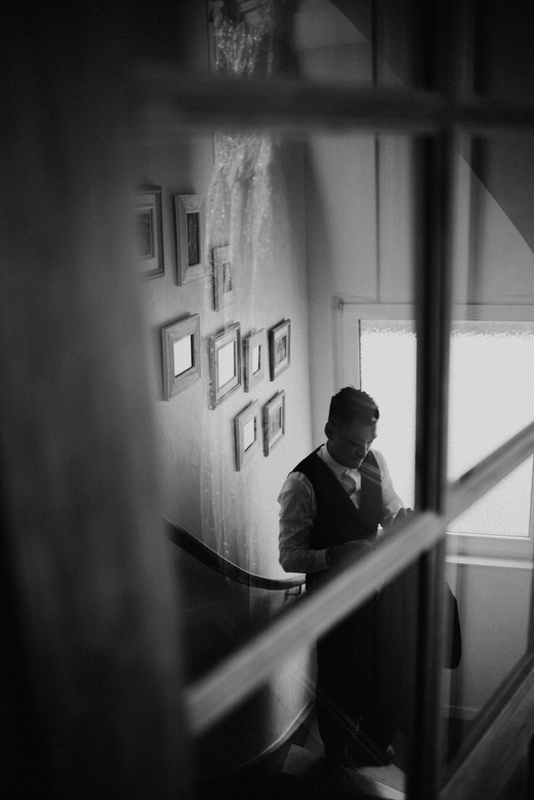 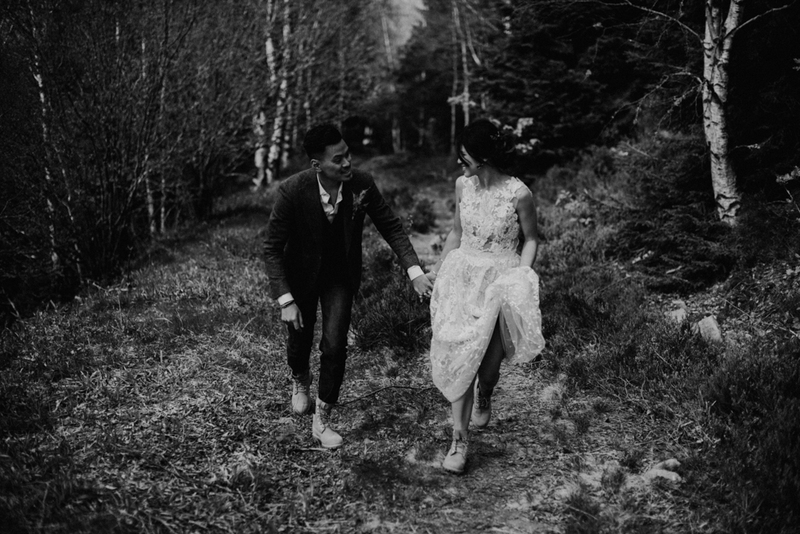 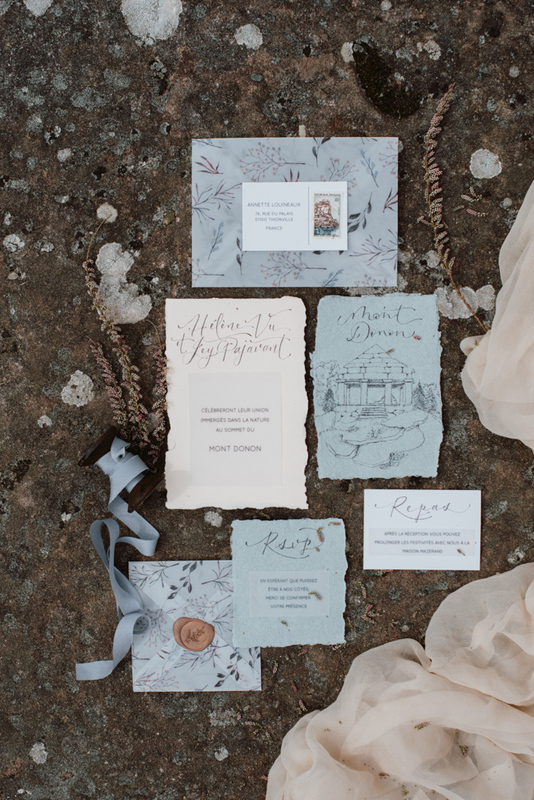 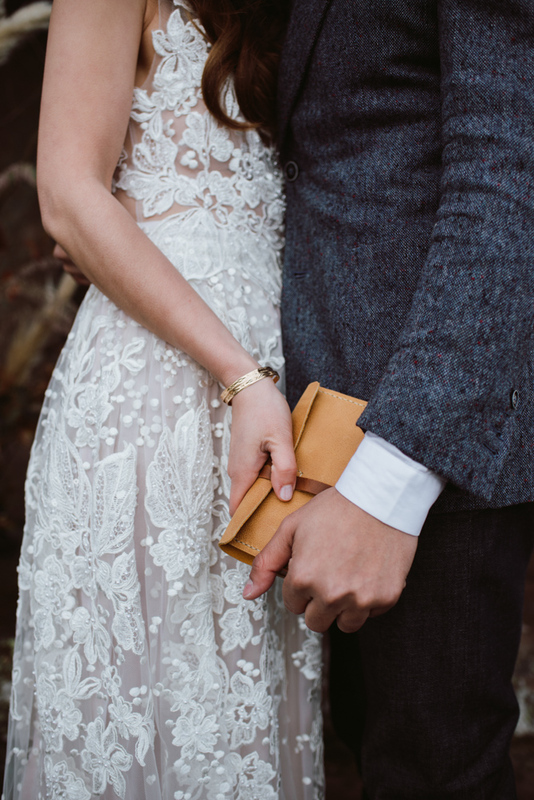 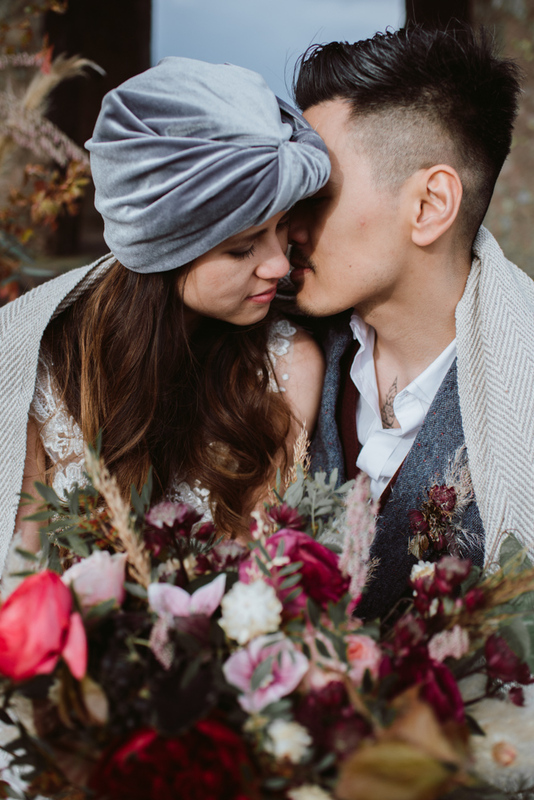 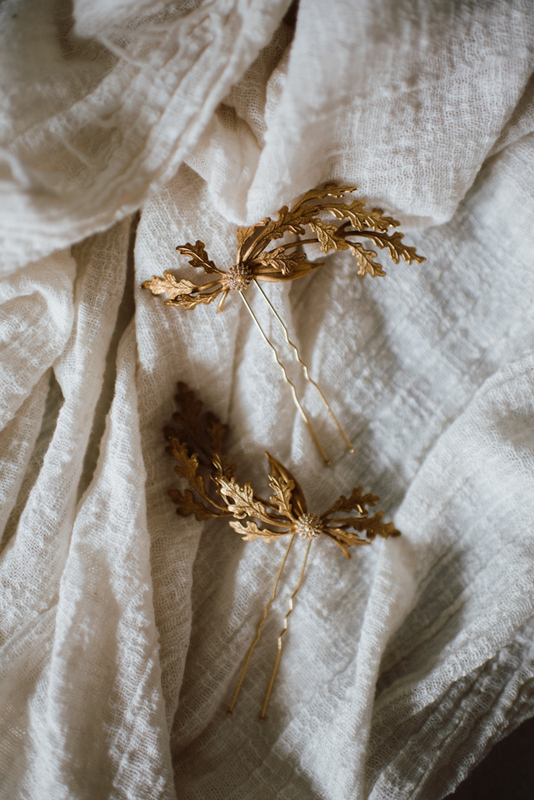 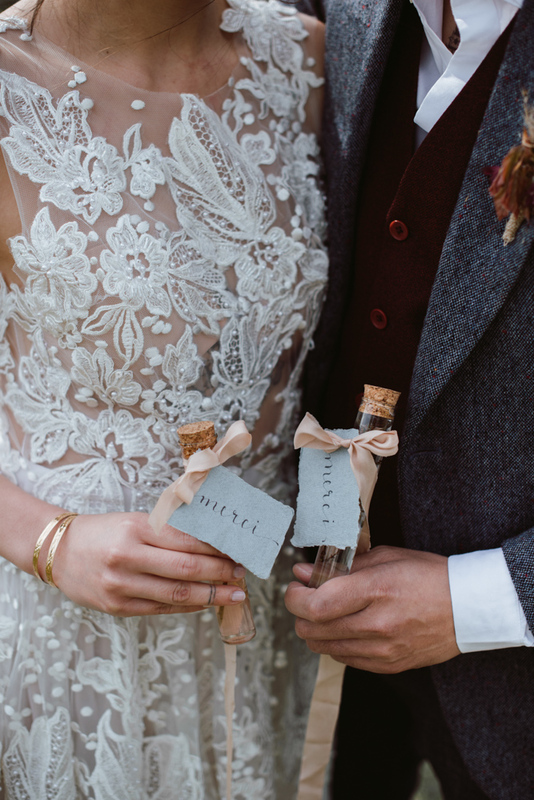 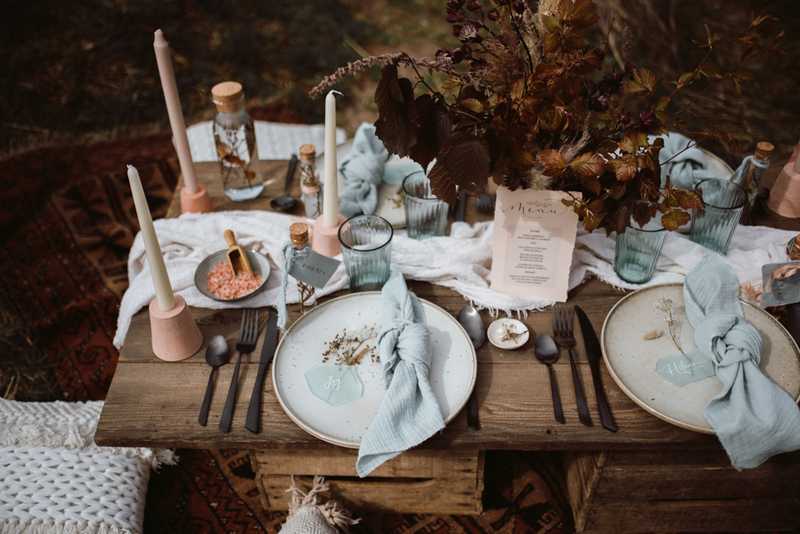 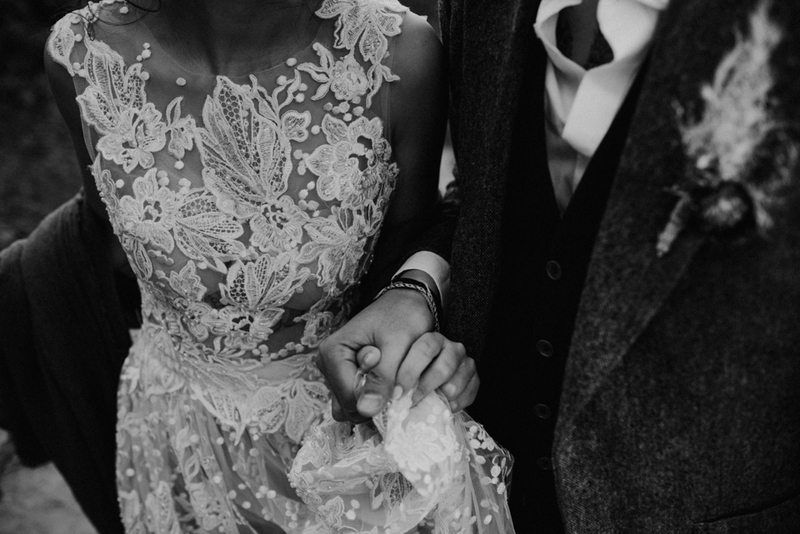 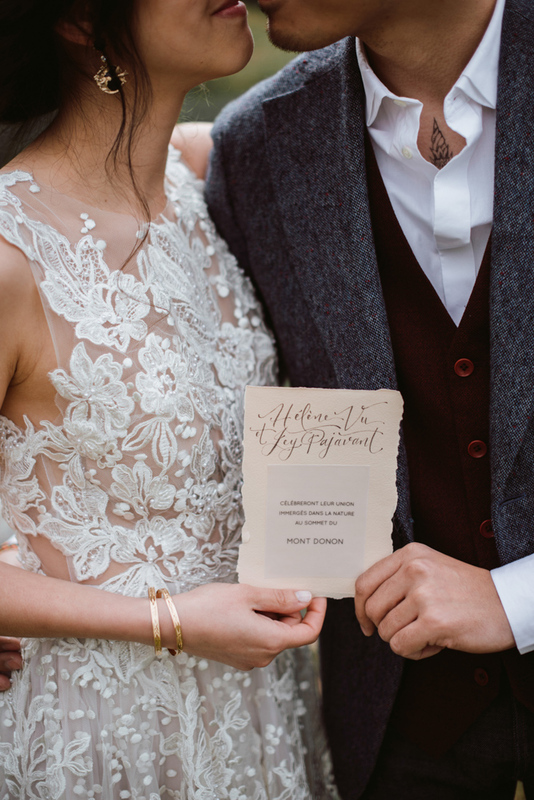 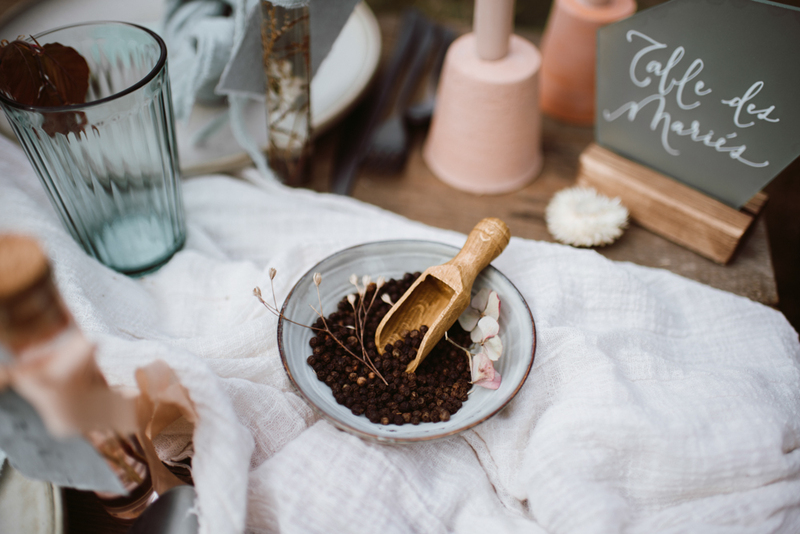 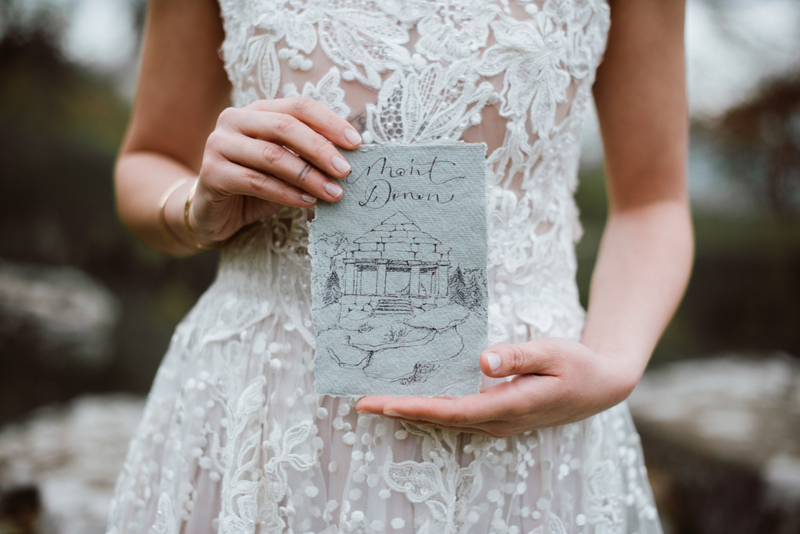 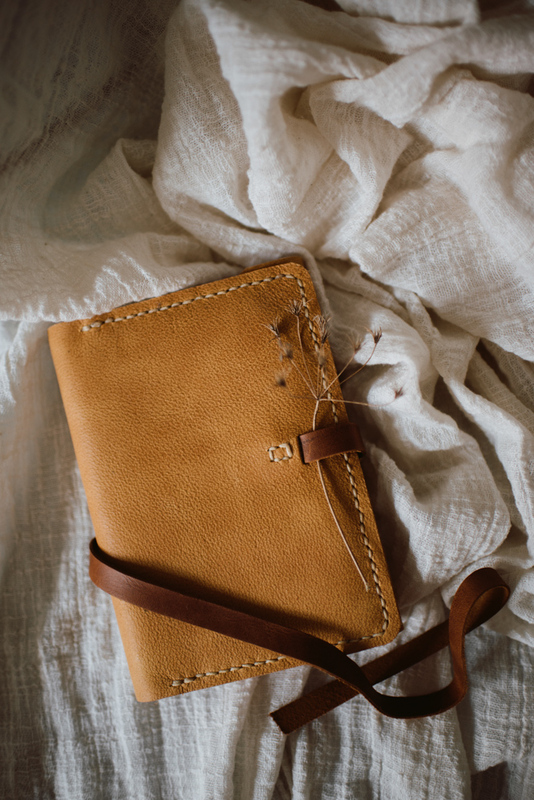 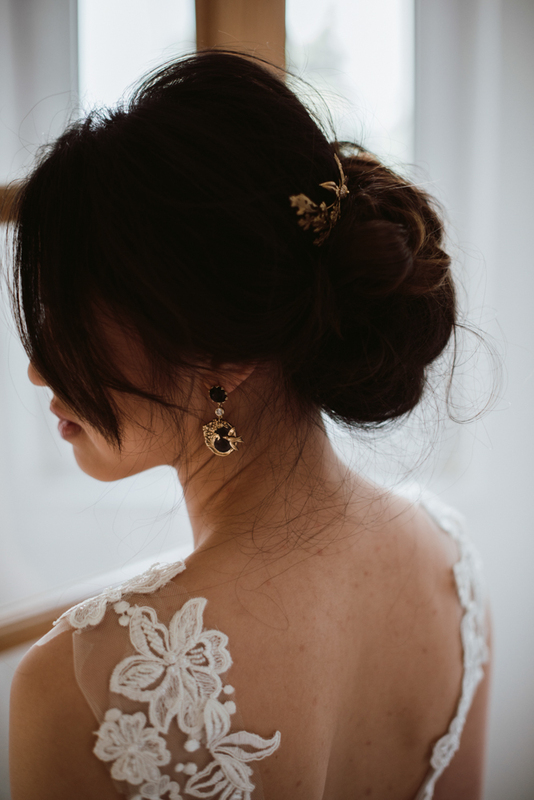 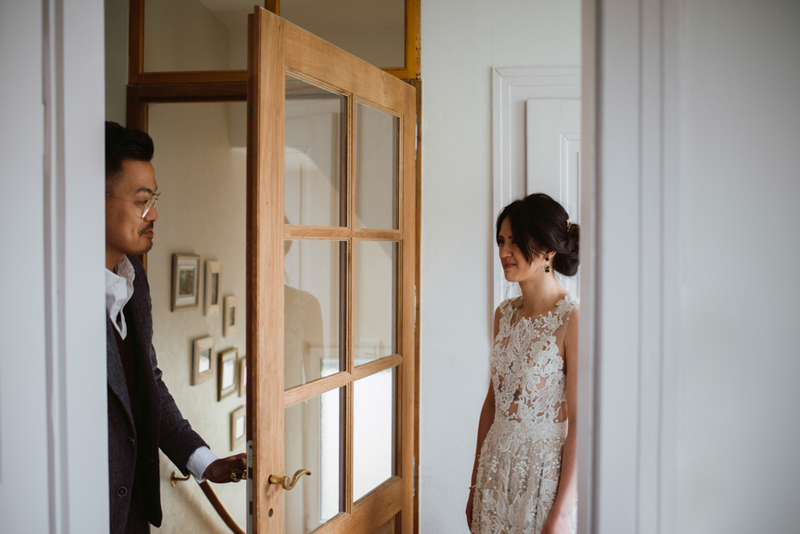 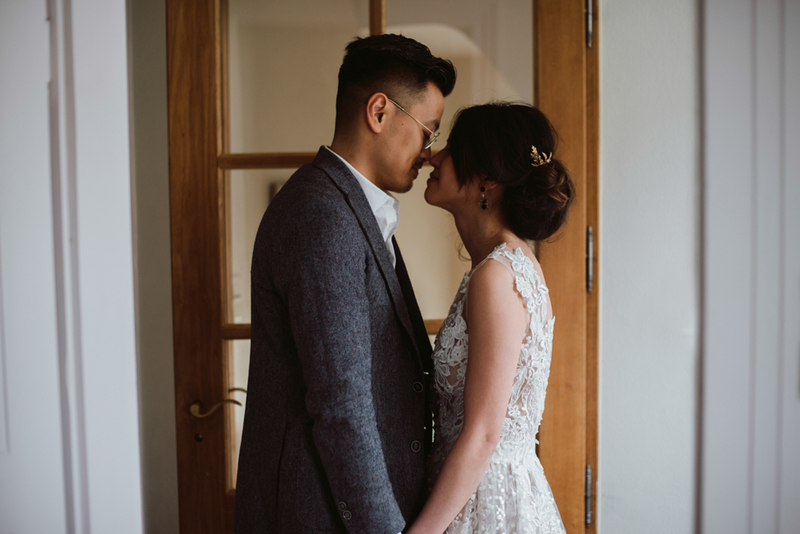 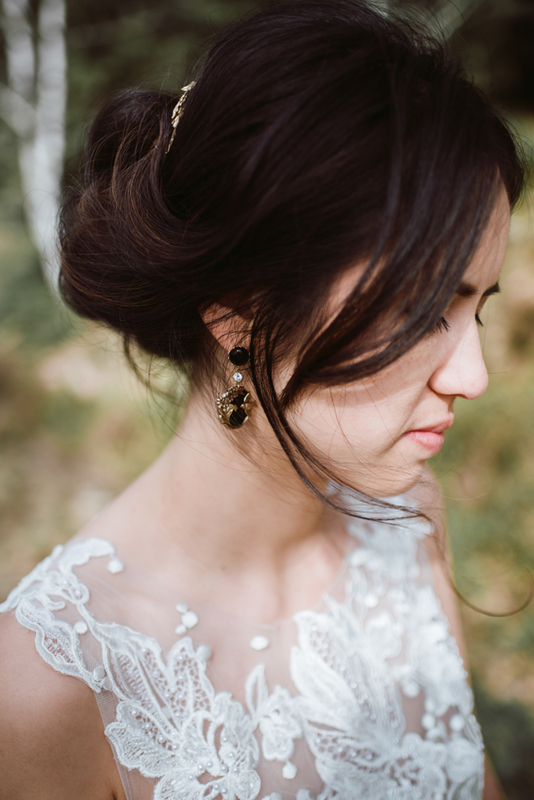 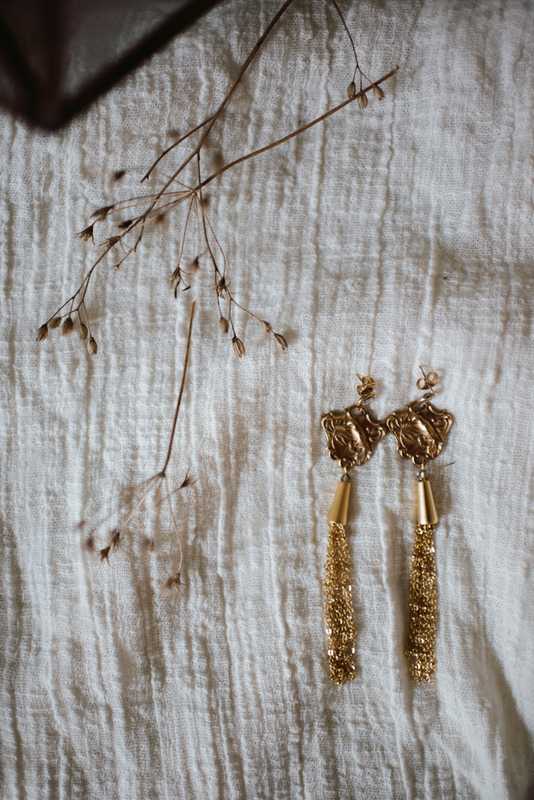 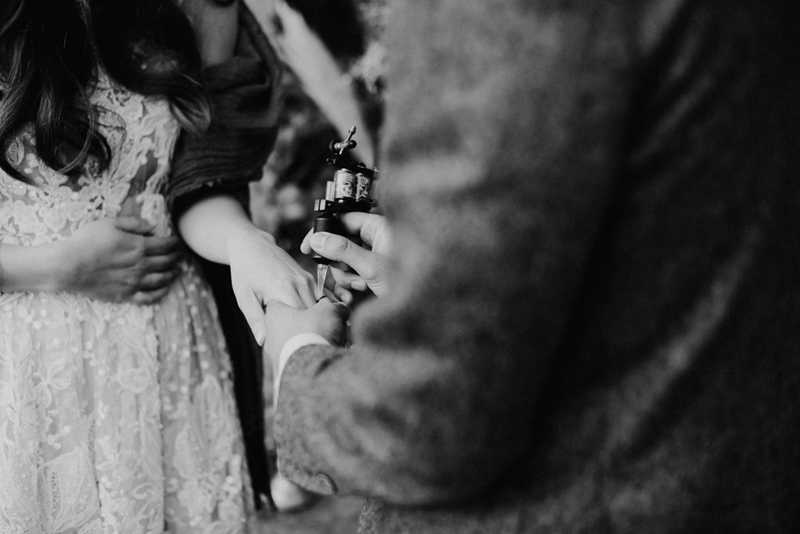 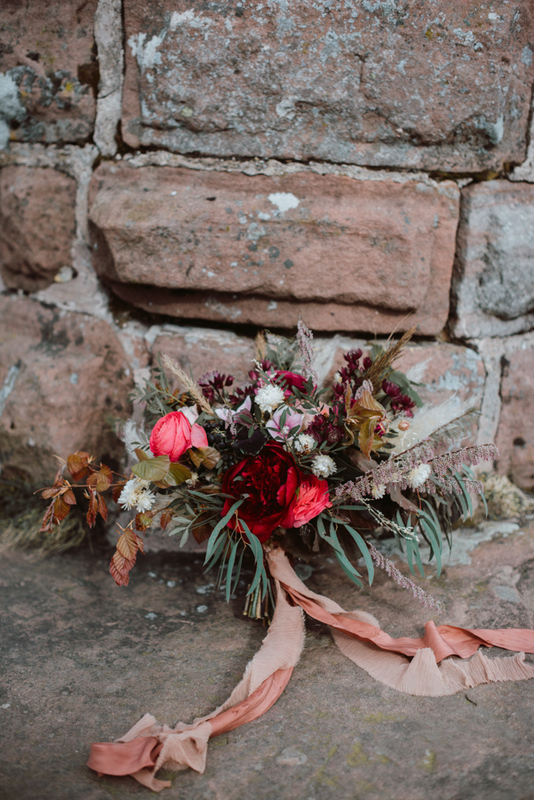 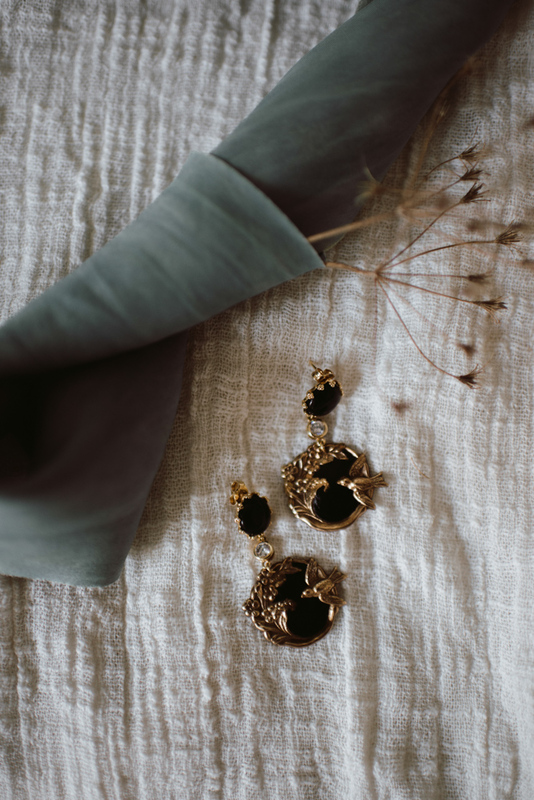 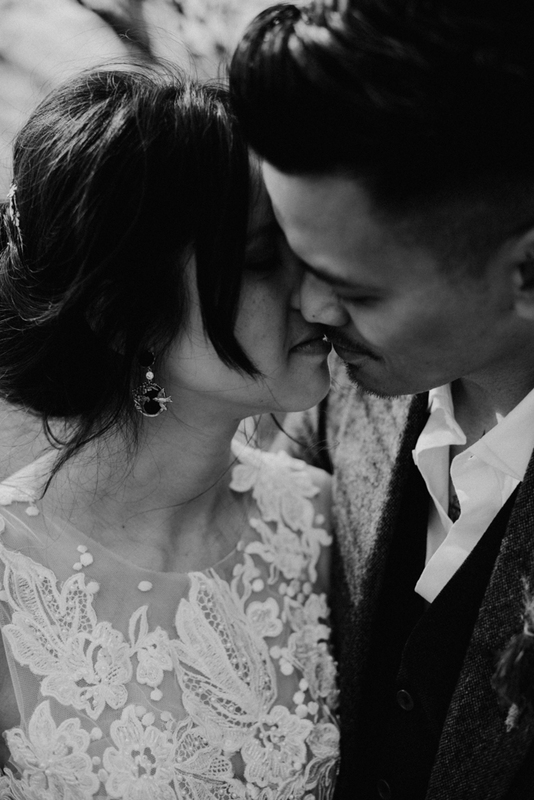 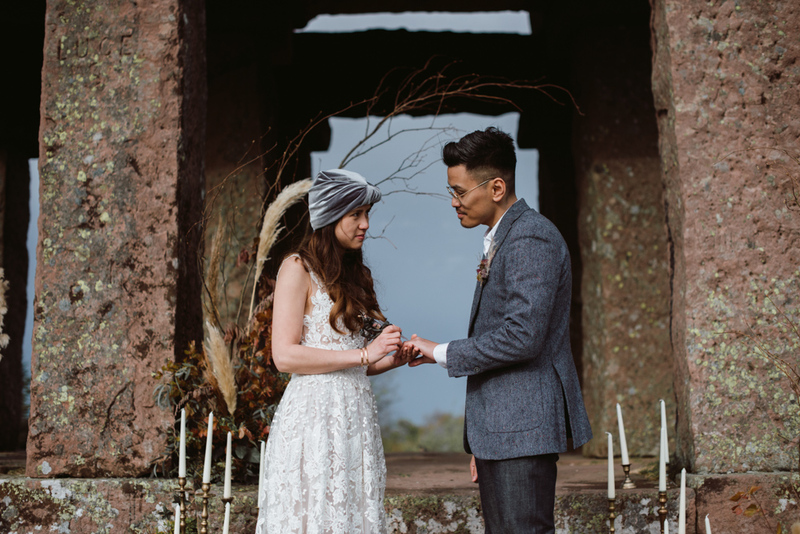 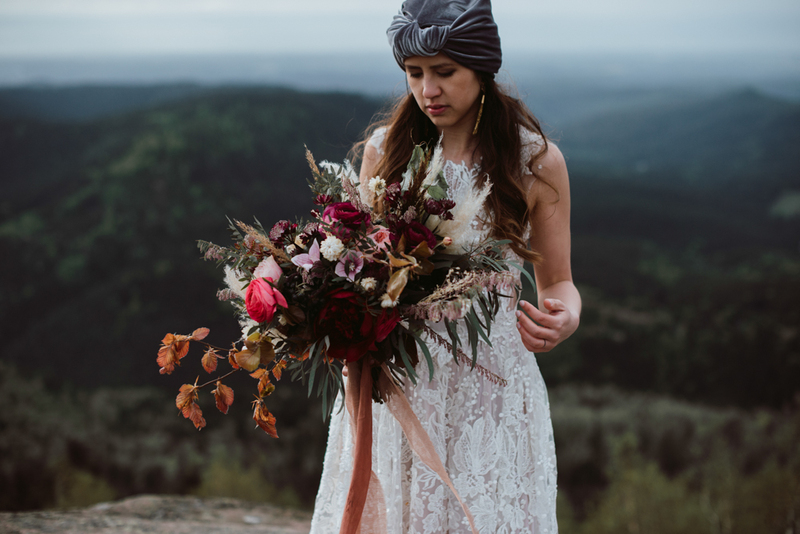 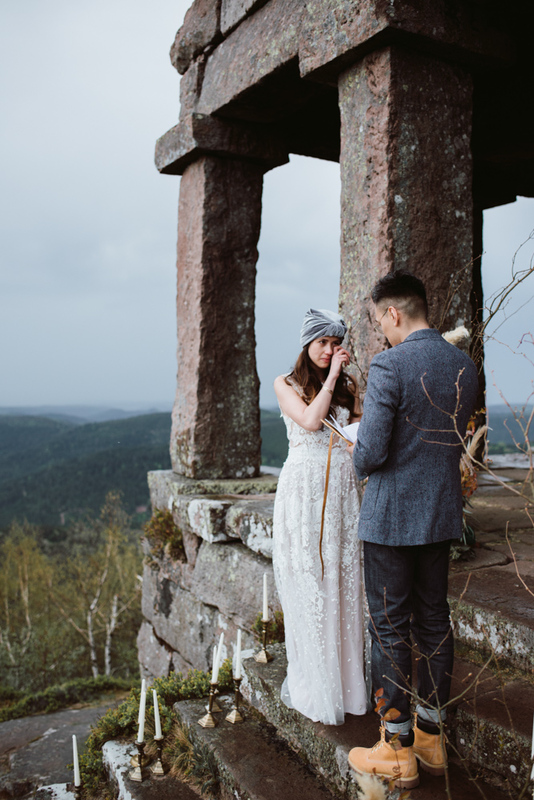 I chose Mélanie to plan and style every little details of this elopement. 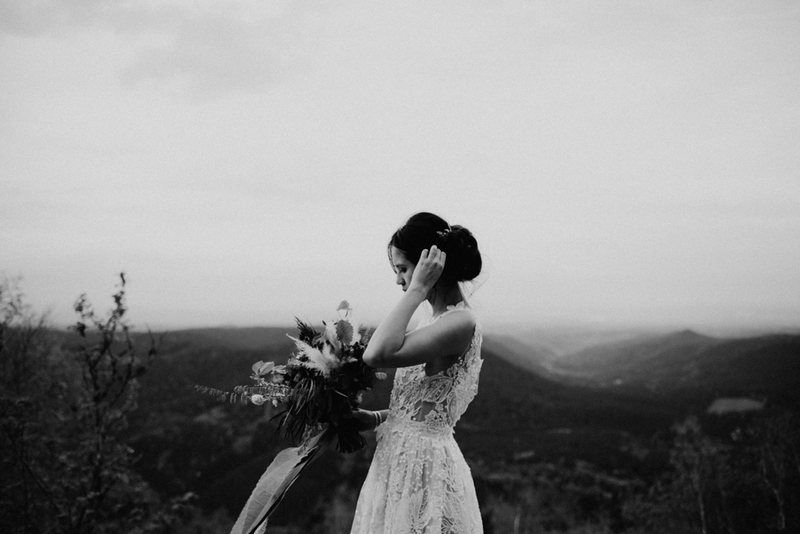 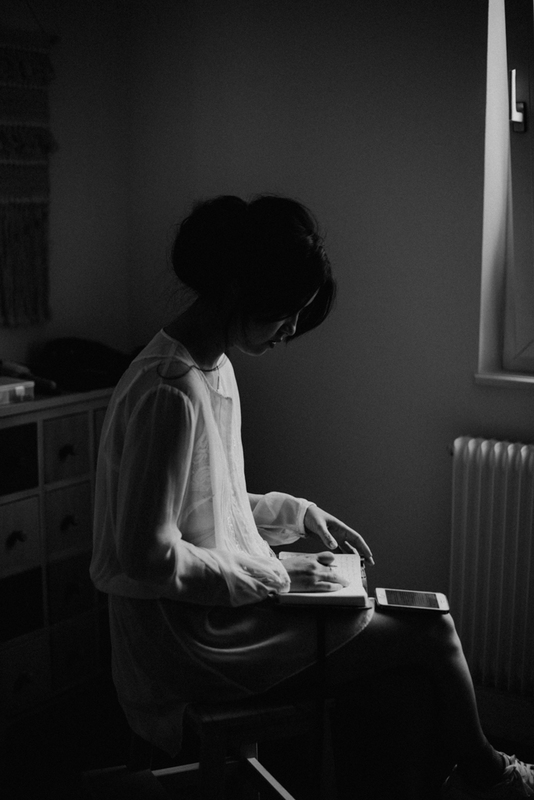 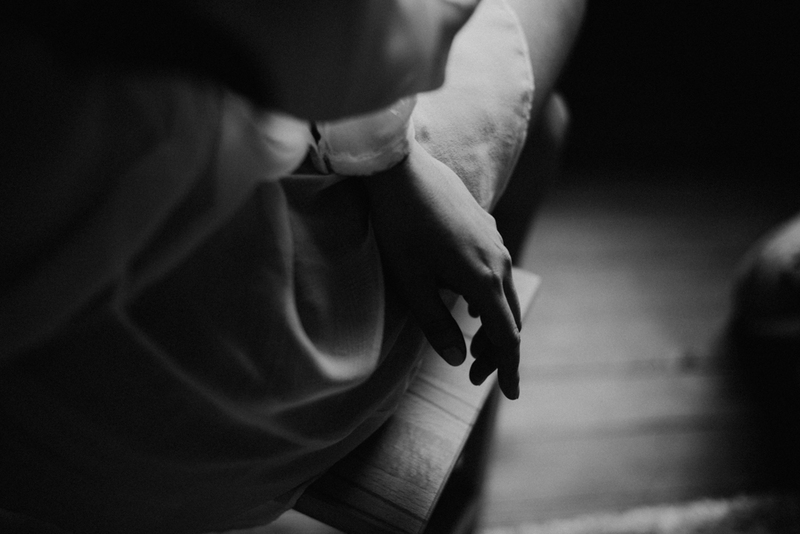 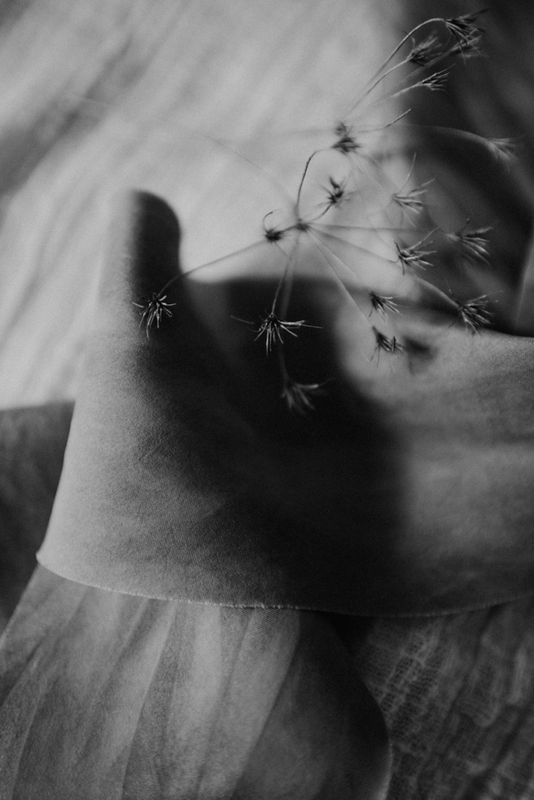 She’s a talented wedding planner and designer from Strasbourg. 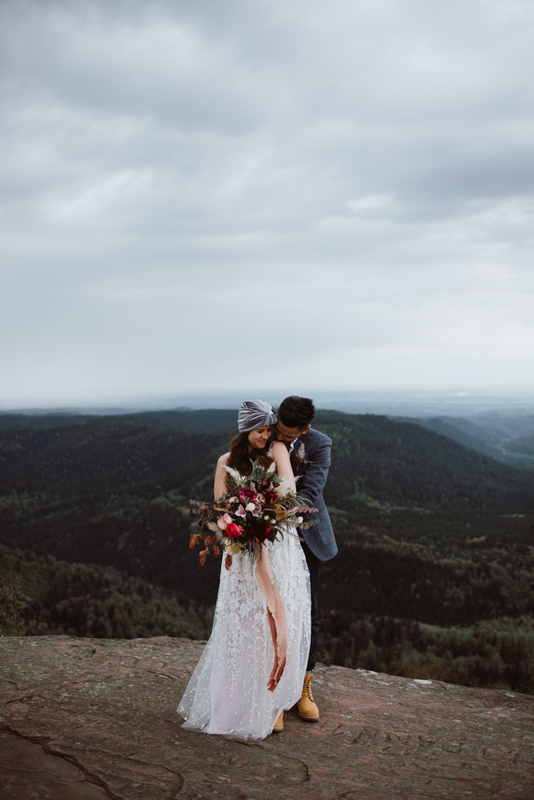 She spoke to me about this wild and charming place called “Mont Donon”, with a stunning view on the Alsace territory and an hard and raw path to climb to get there. 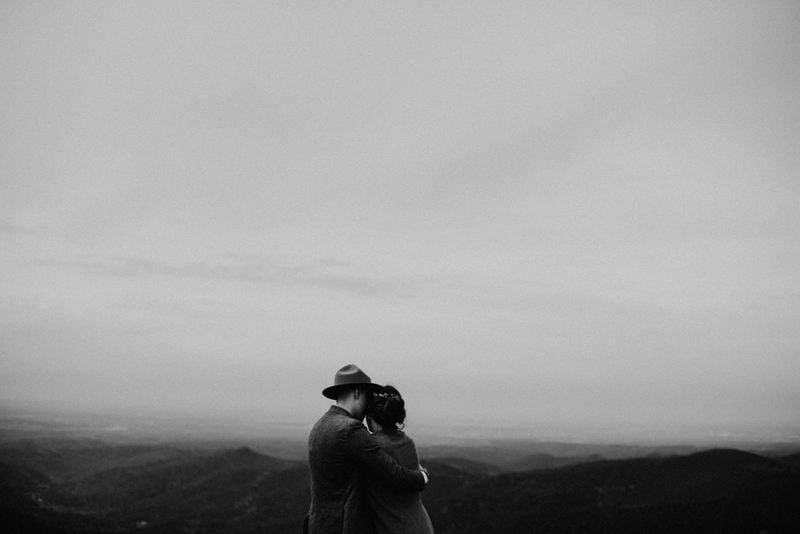 “This must be the perfect place for our couple”, I thought, and so it was! 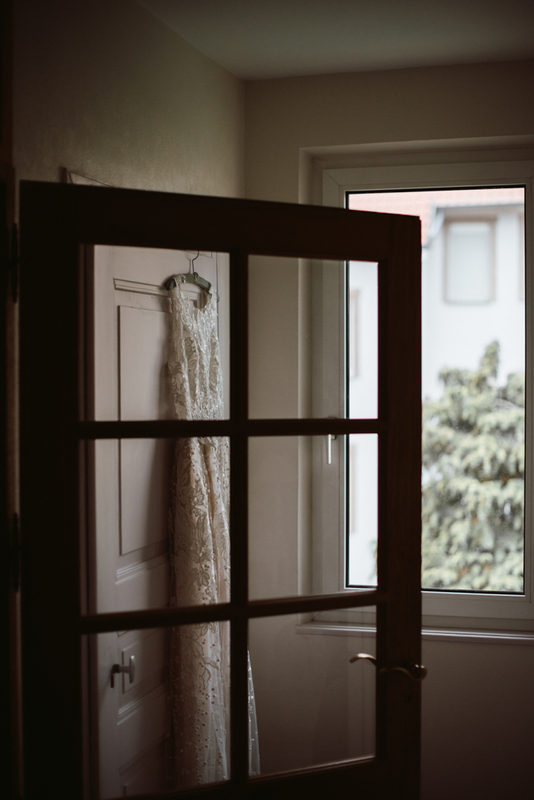 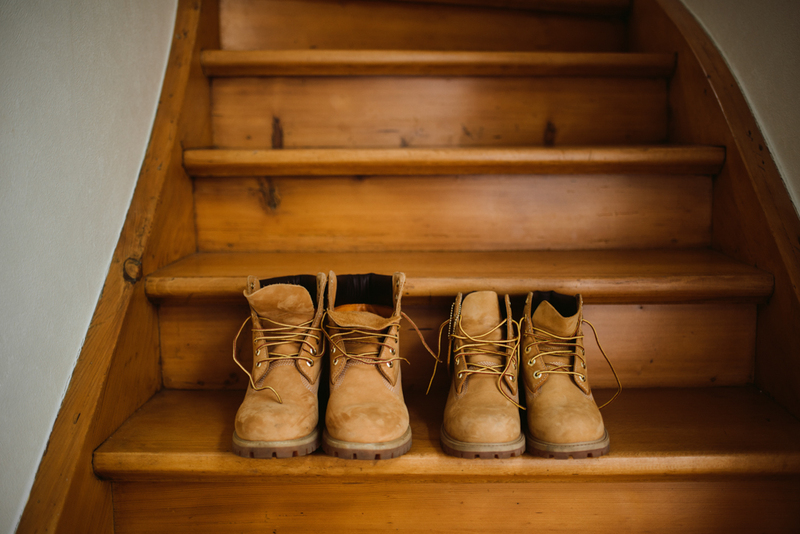 Hélène and Jey got ready in a typical Alsatian house, in Strasbourg. 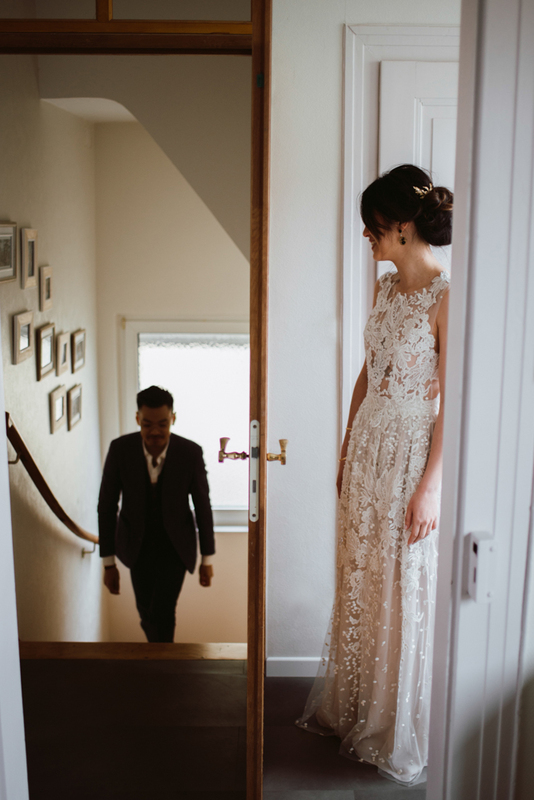 They were separated but in the same place, so it was pretty funny for me and Carlo to follow them during make up, hair styling and dressing. 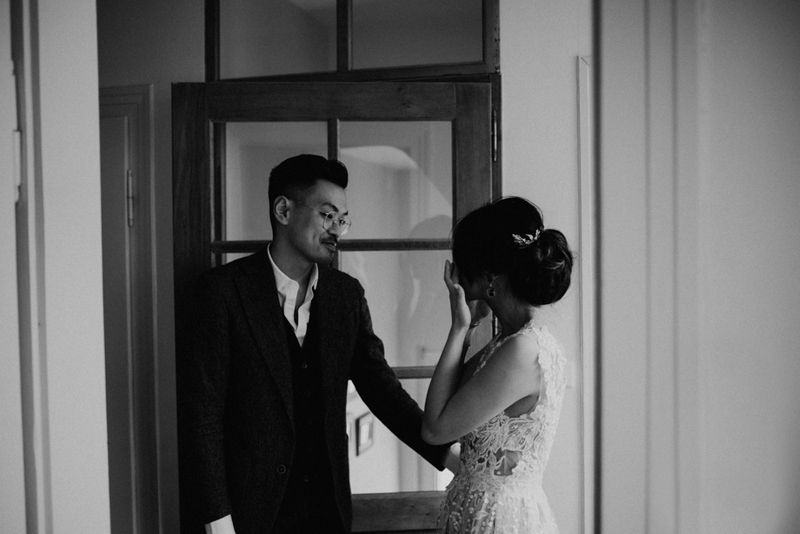 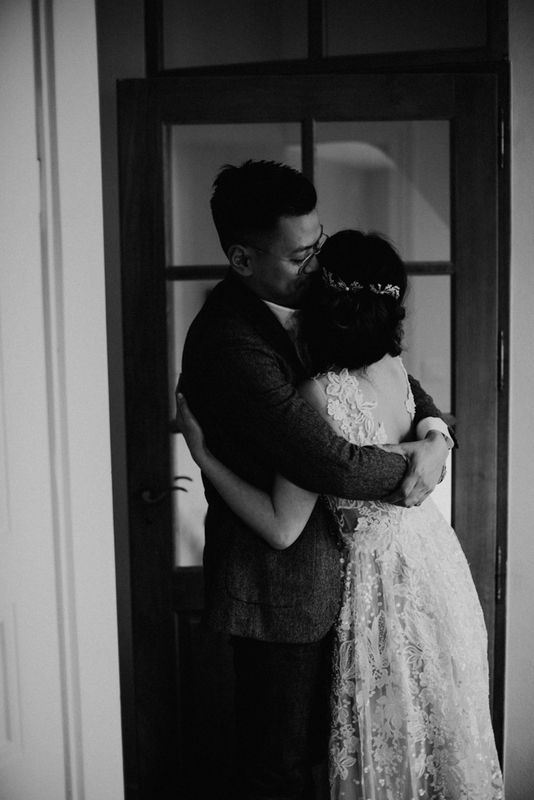 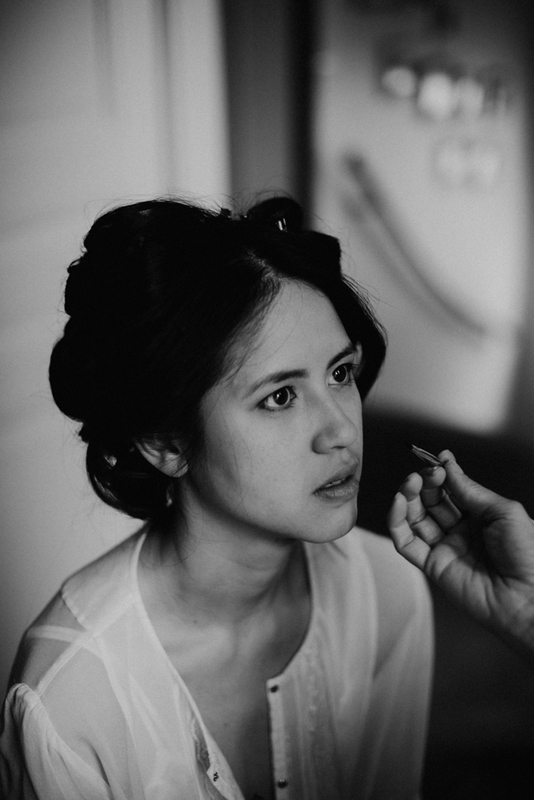 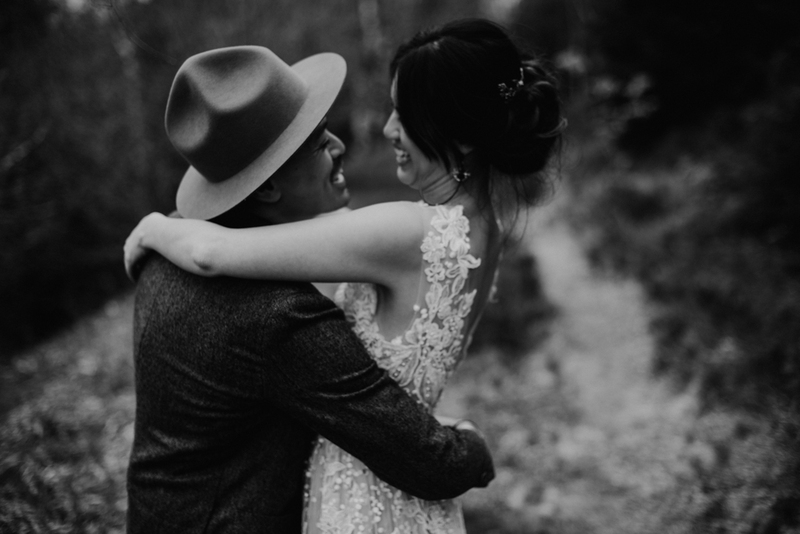 At the end of the getting ready, they made the most touching first look we’ve ever shot! 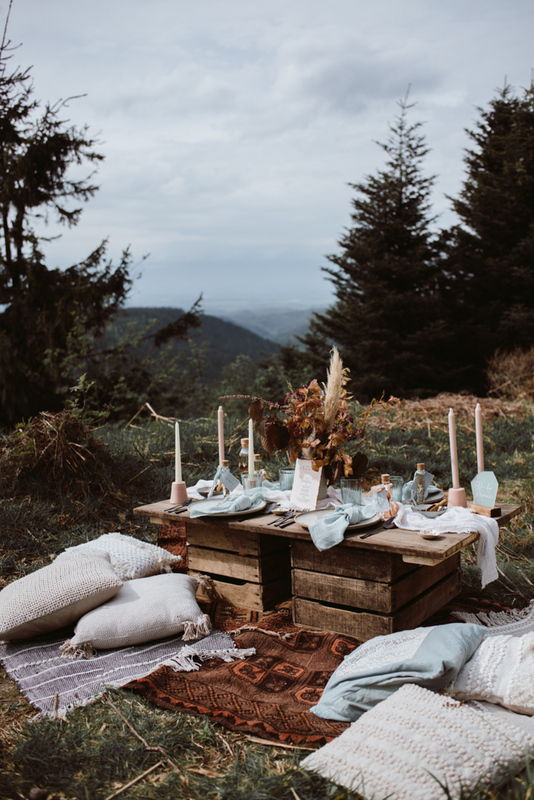 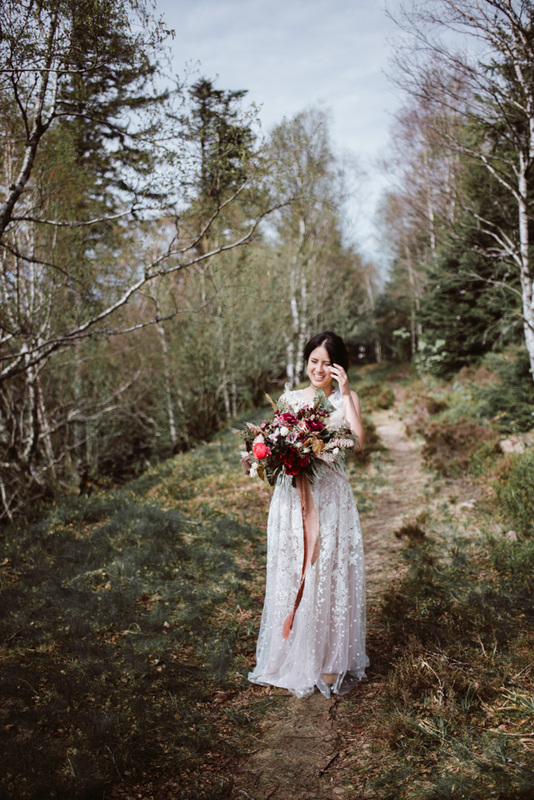 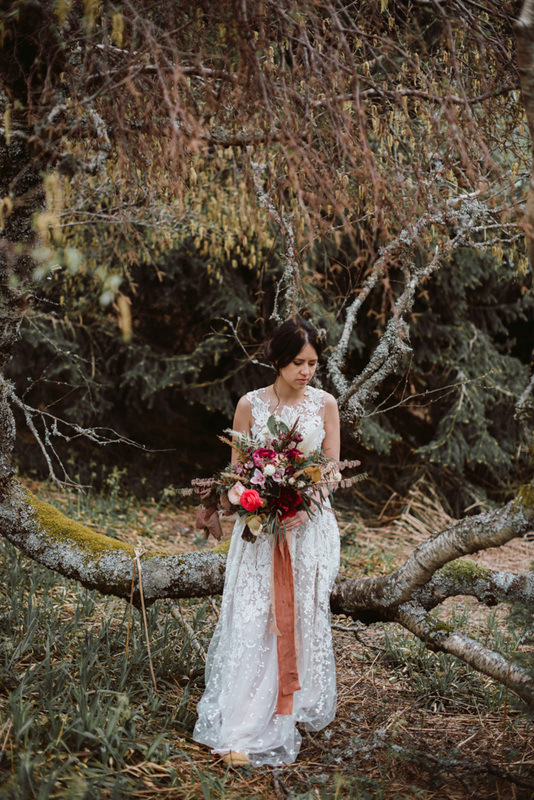 Then we moved to Mont Donon, where Mélanie and her team have prepared a beautiful corner in the woods for a little rest just before the ceremony. 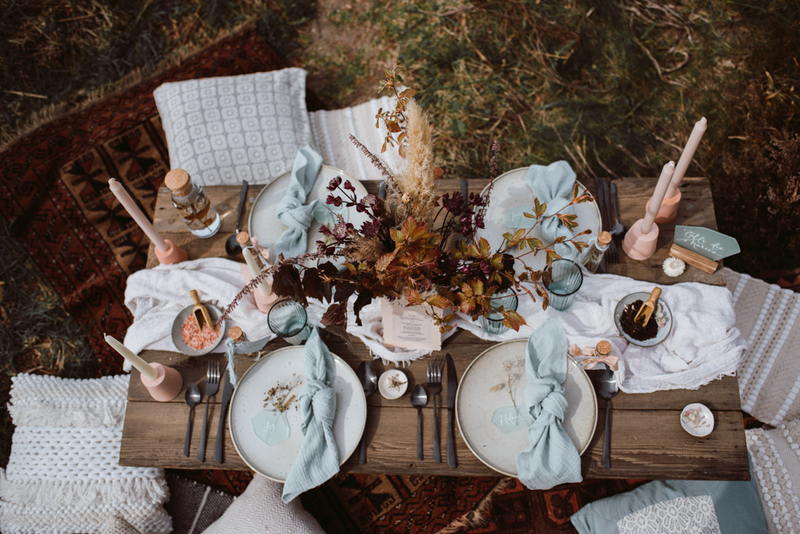 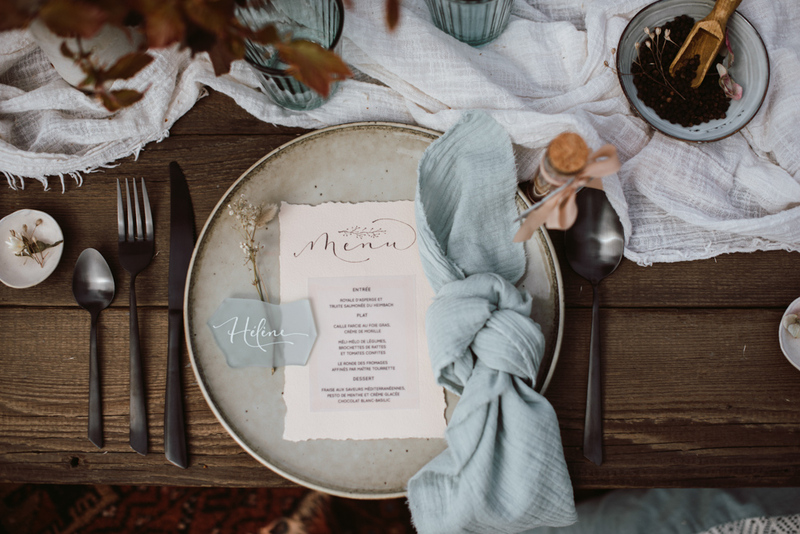 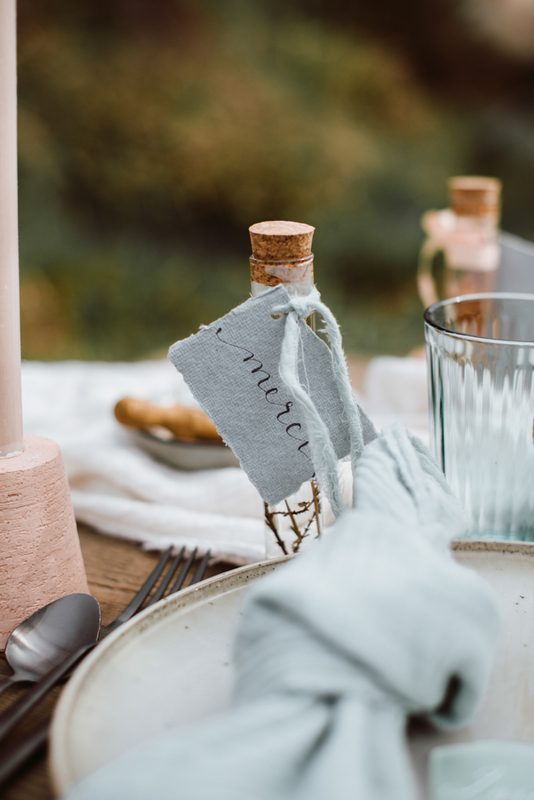 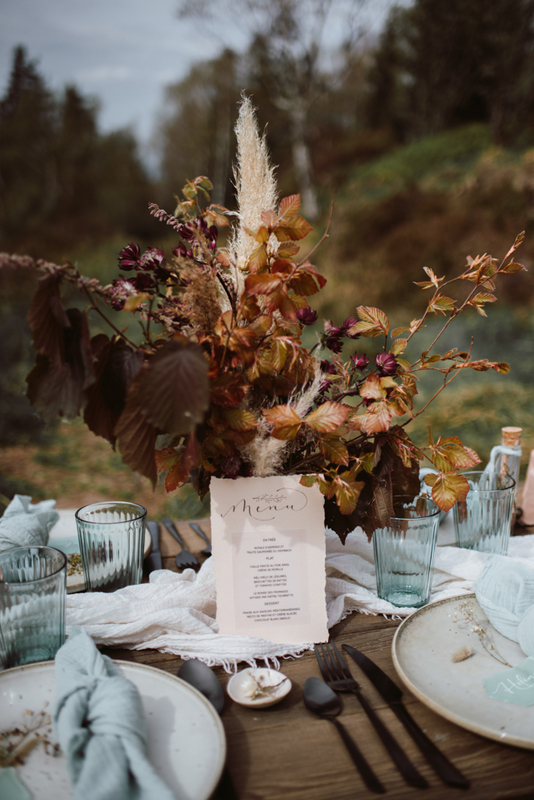 A wooden table, made by fruit boxes and old boards, decorated by beautiful details from different European artisans: stunning flowers by Gabrielle, handmade textiles, glass place markers by Céline and amazing handwritten invitations by our Alice. 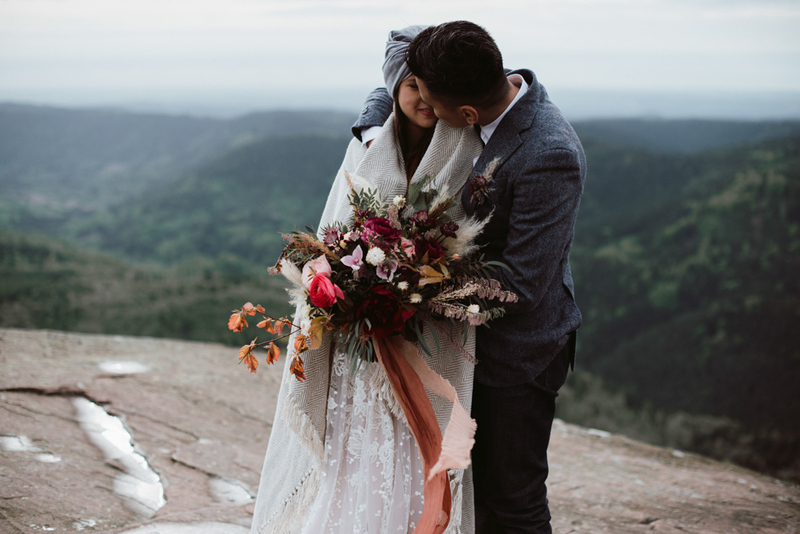 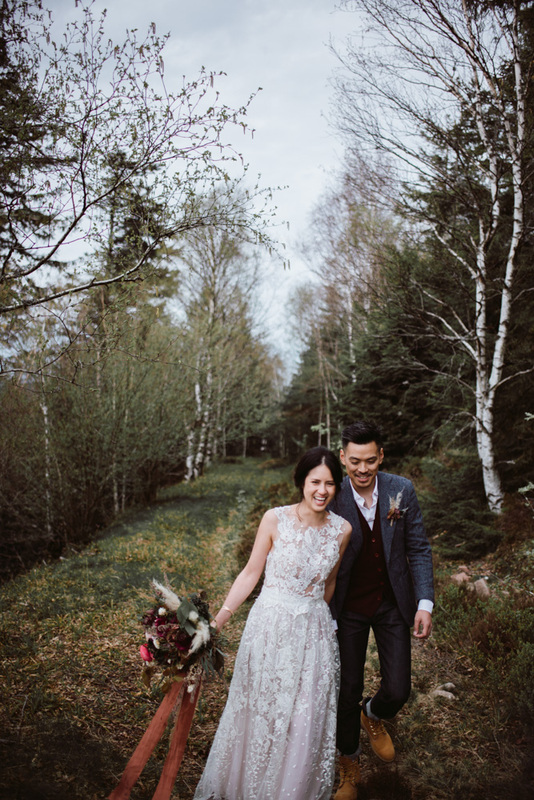 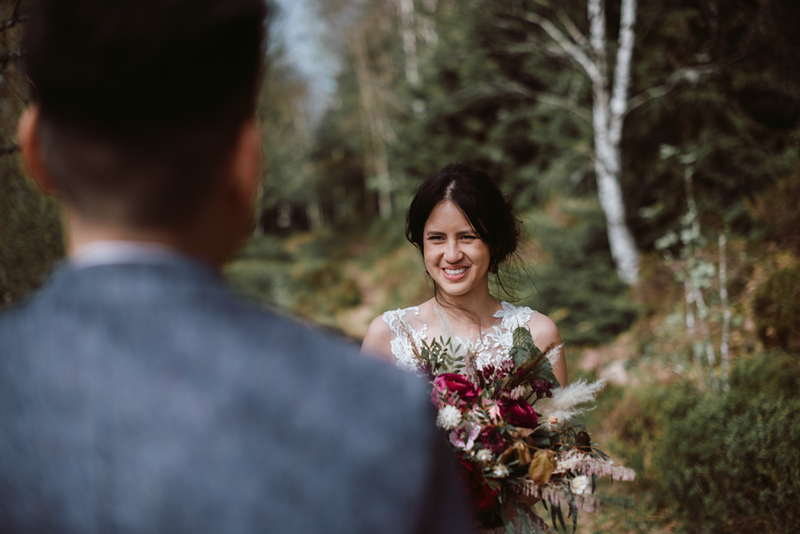 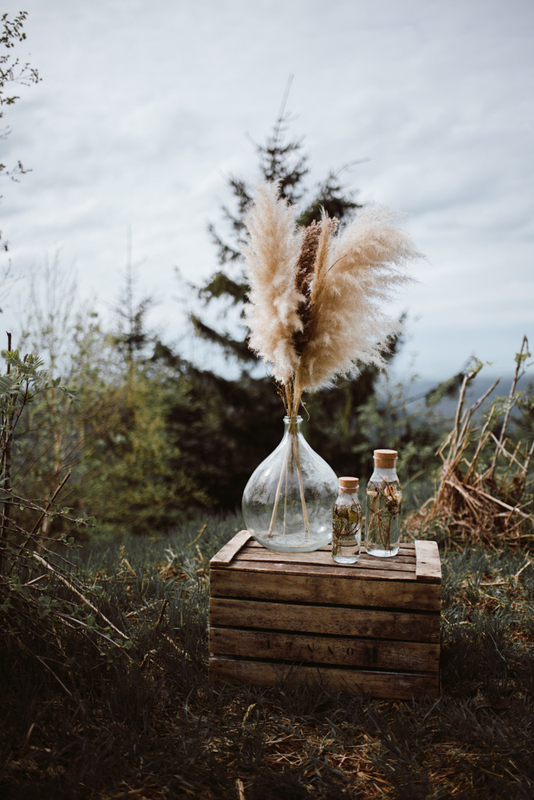 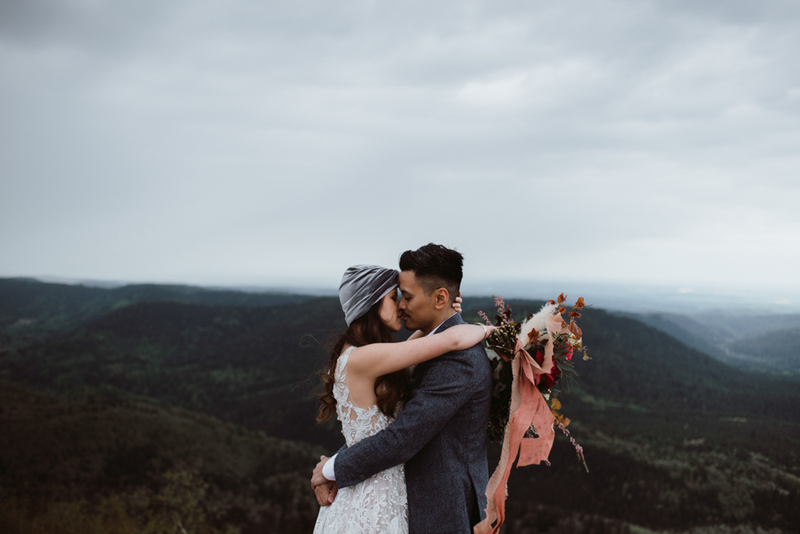 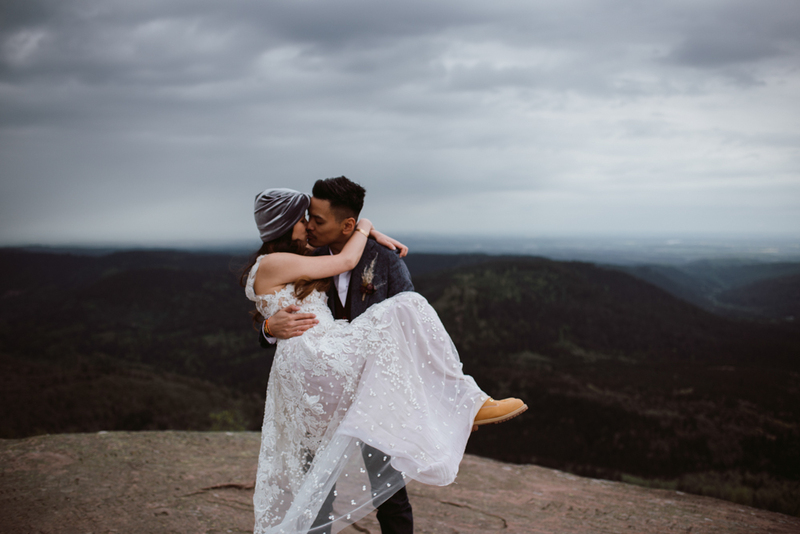 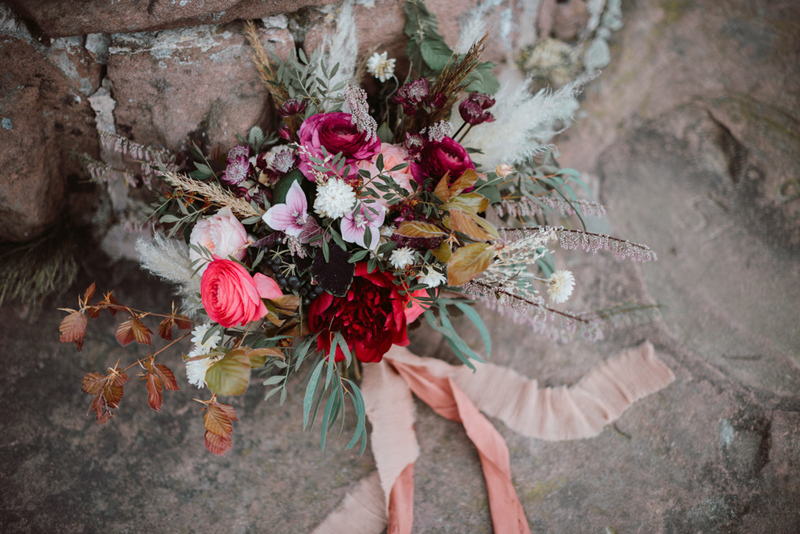 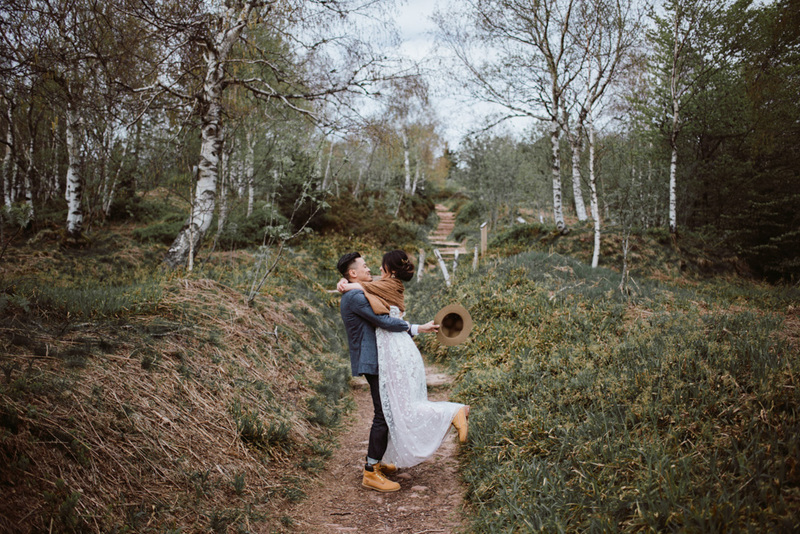 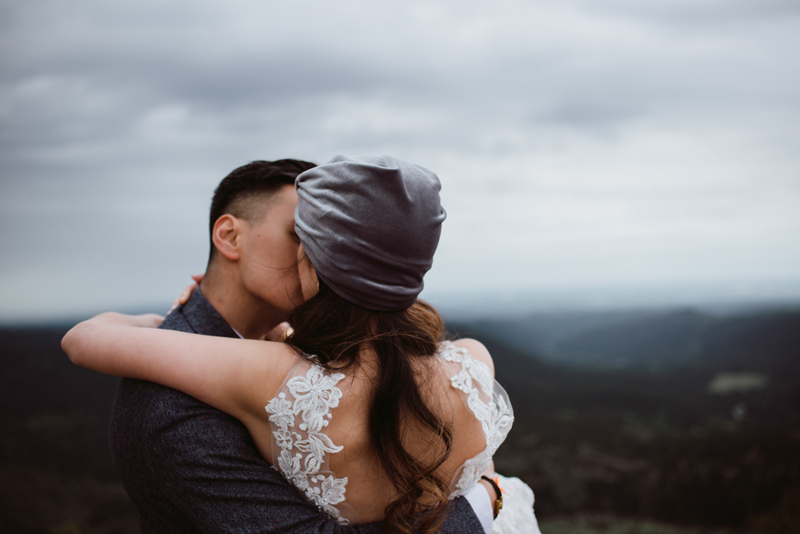 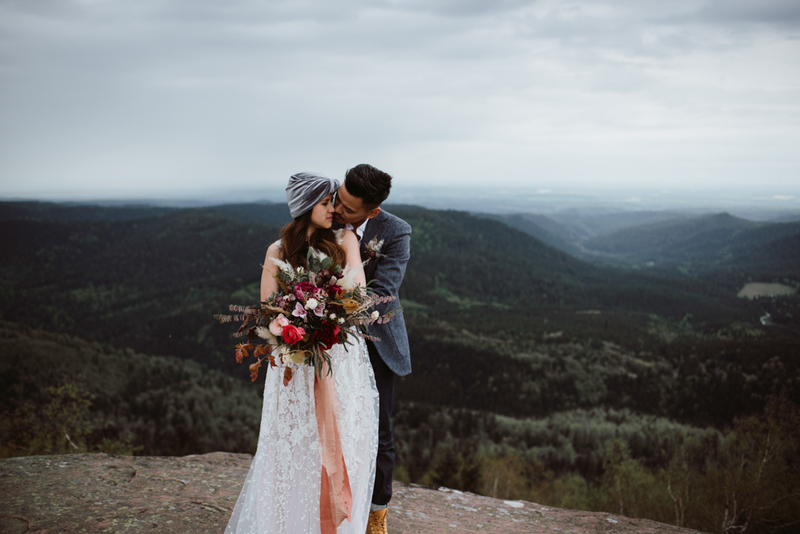 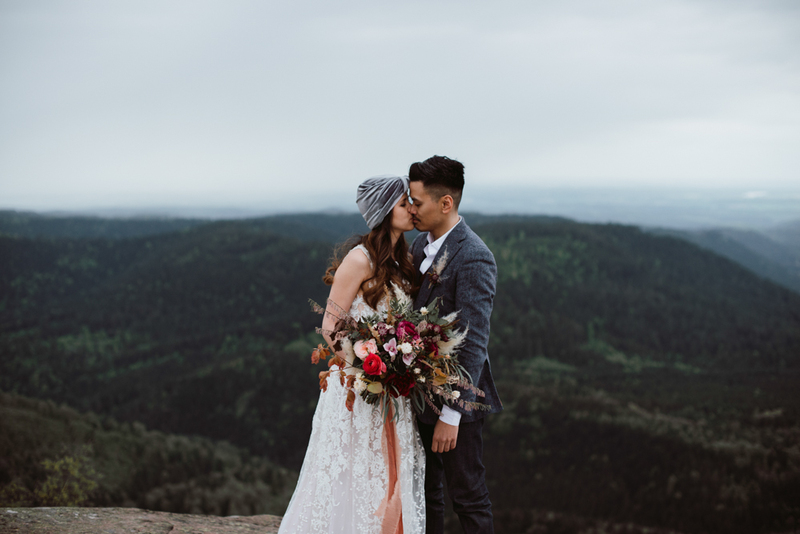 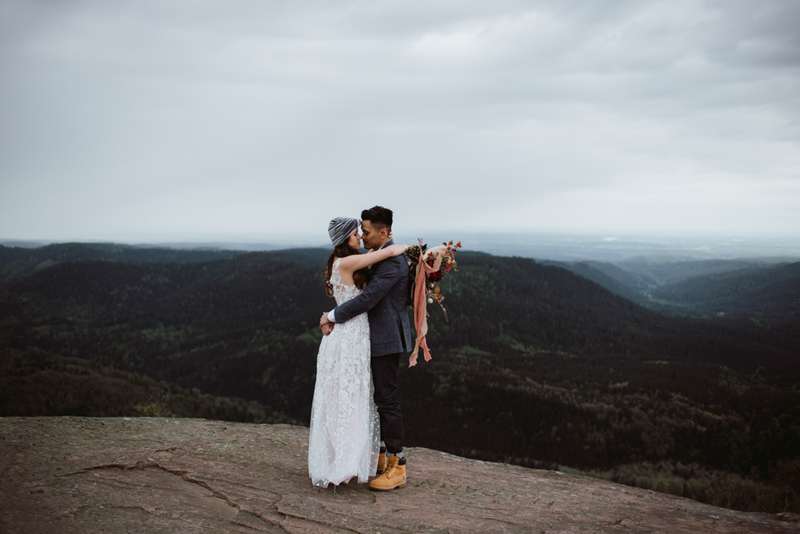 Hélène and Jey had some chilling moments, a lot of fun and smiles and then started the long path to Mont Donon, for an intimate ceremony on the top of Alsace. 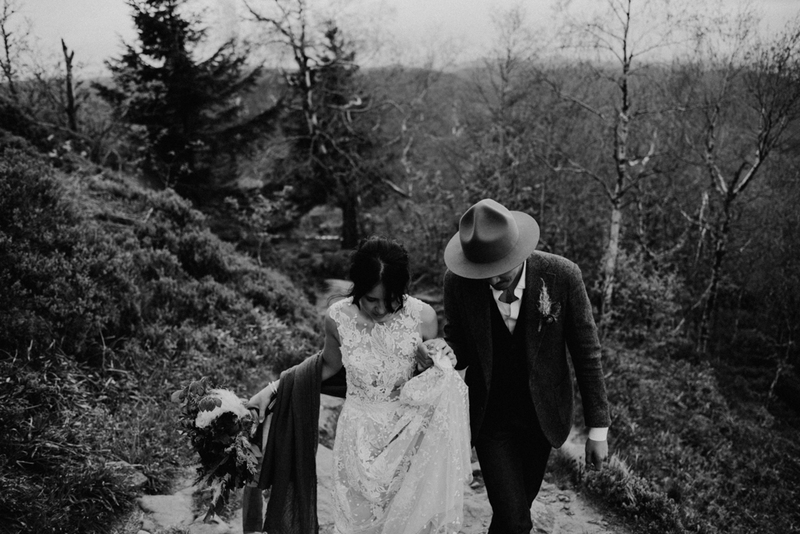 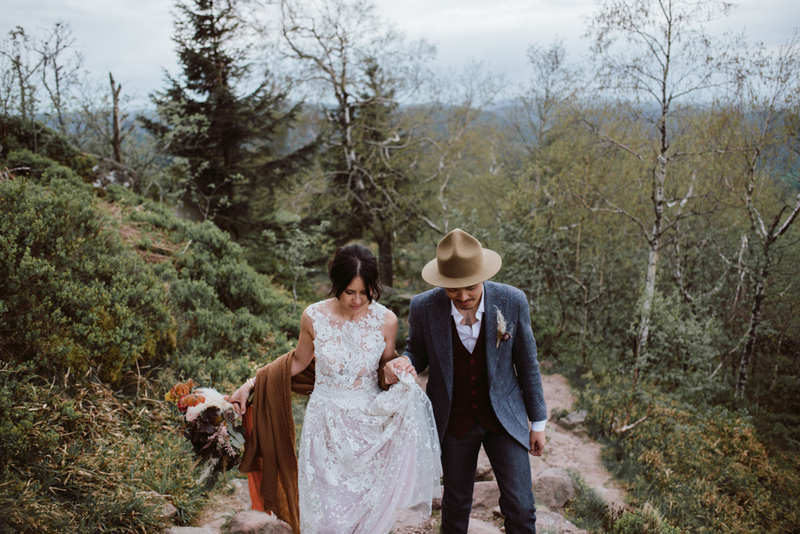 In their beautiful dresses (Jey jacket is from a French atelier; Hélène outfit is 100% made in Italy: the precious handmade dress, the golden jewels and the velvet turban) they walked into the wild woods, arriving on the top just before the storm! 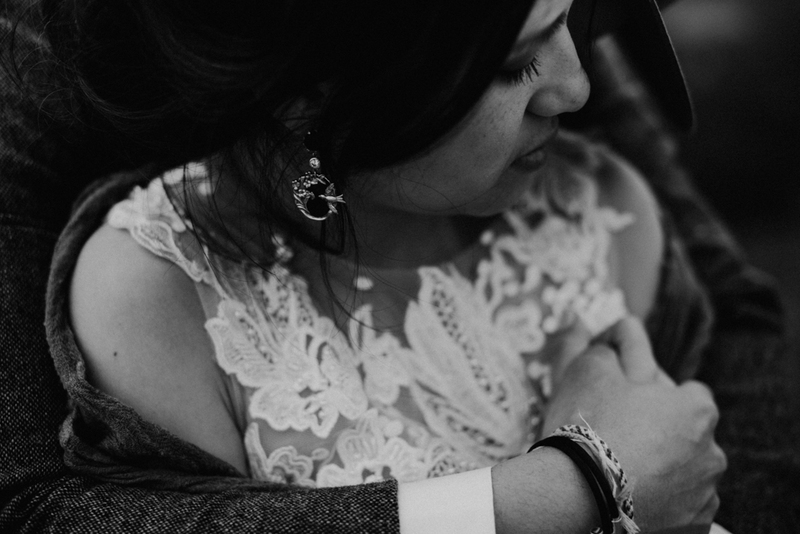 We waited some minutes, under the temple, then we were ready to attend and shoot the touching ceremony of these two. 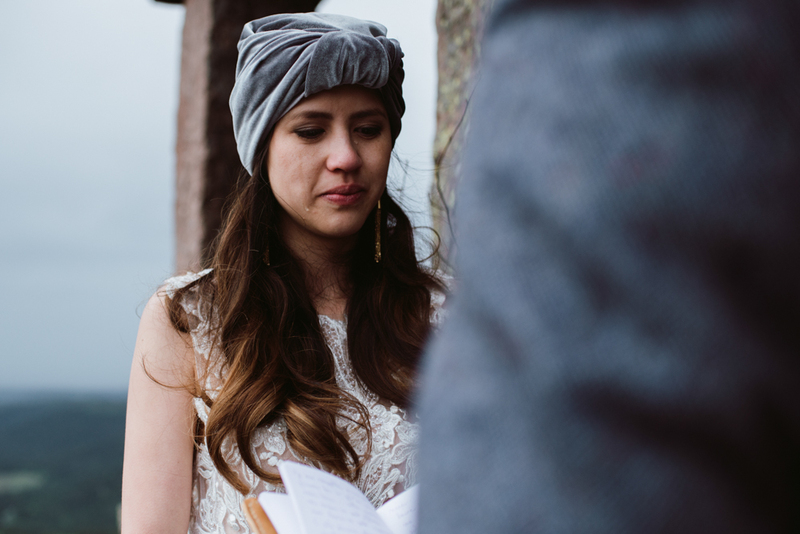 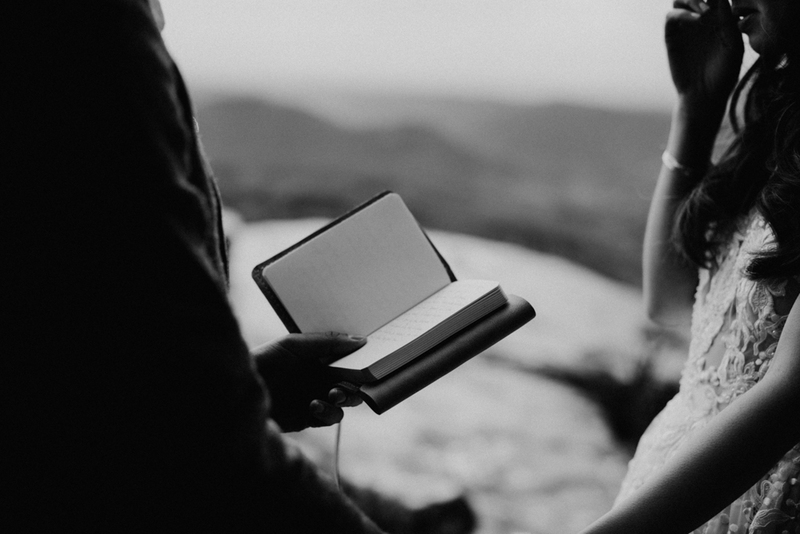 They read their vows, written on a handmade notebook, they poured a few tears and then hugged strongly in the freezing wind. 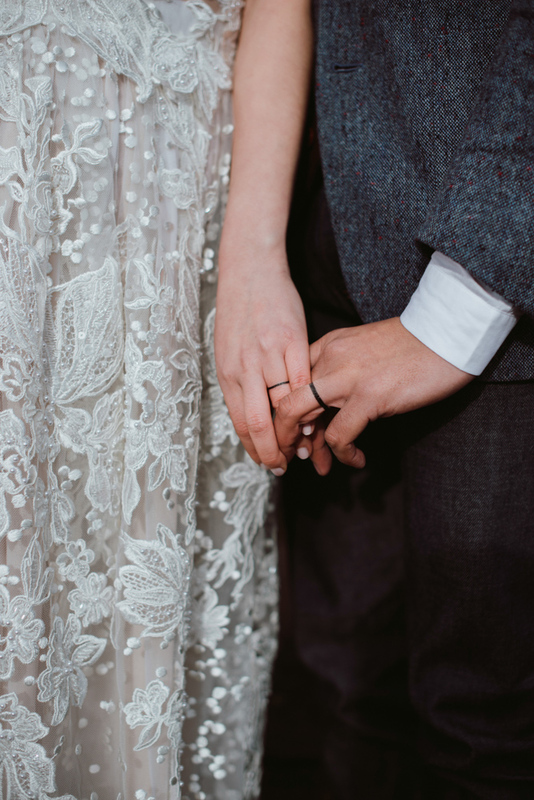 And then, the icing on the cake, they exchanged their “rings”, tattooing them on their fingers! 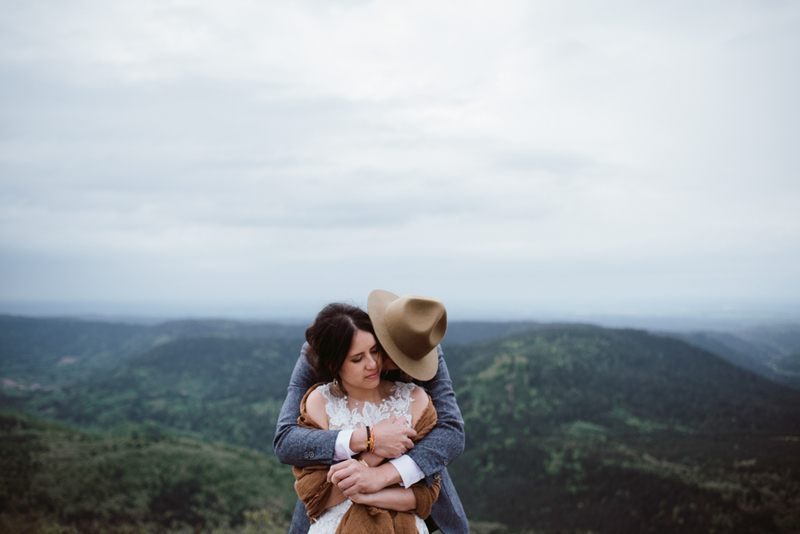 Elopement ended with a ray of sunshine, the one we were waiting for some cool portraits in this wild and raw place. 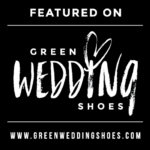 Featured on Green Wedding Shoes (USA).